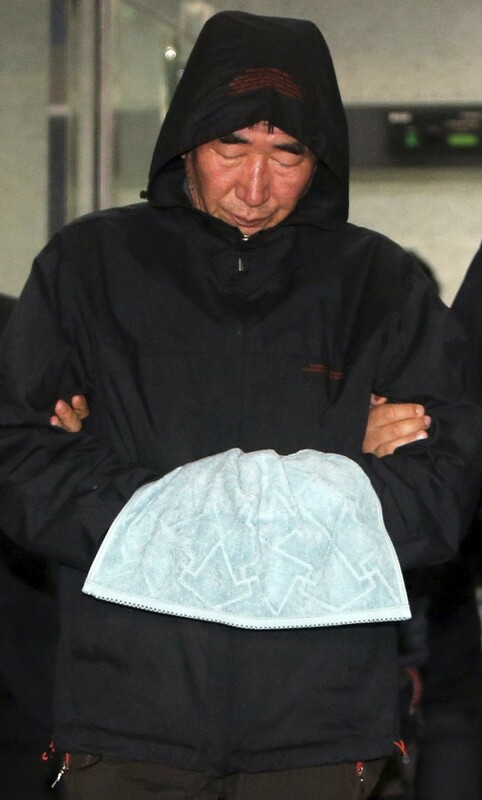 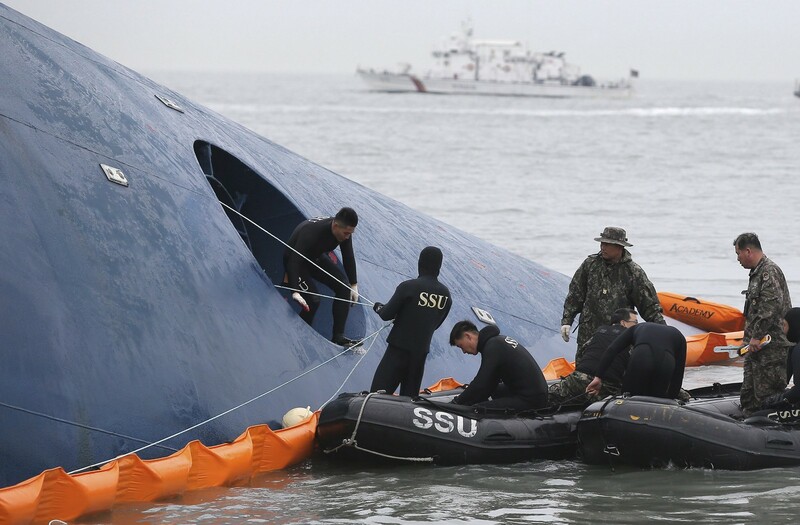 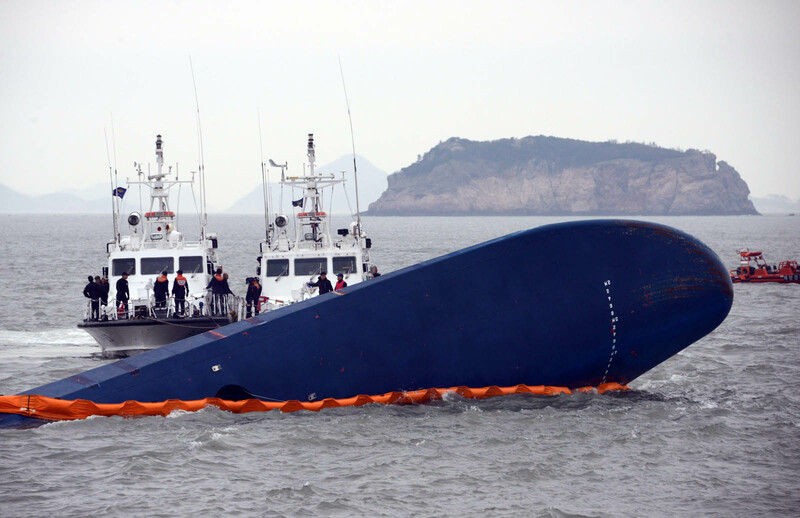 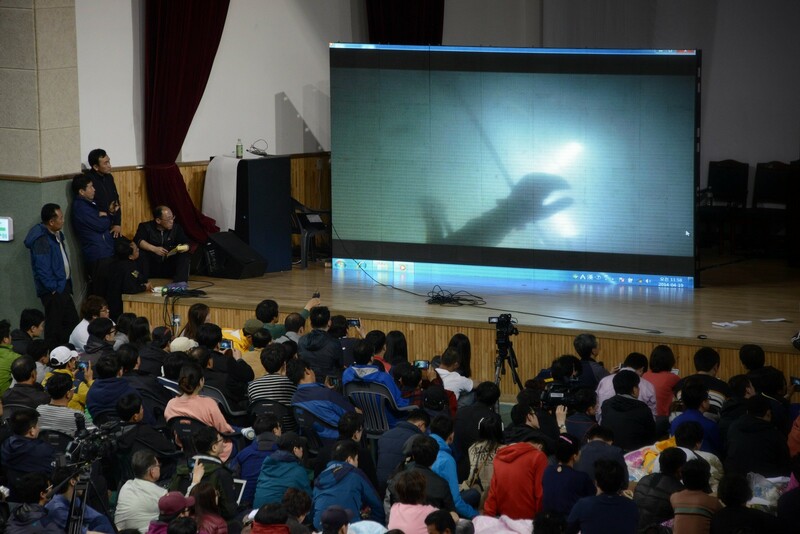 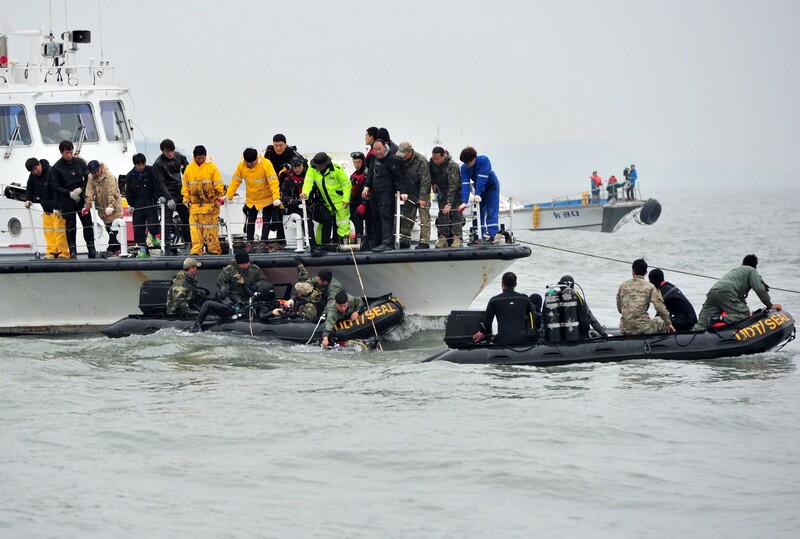 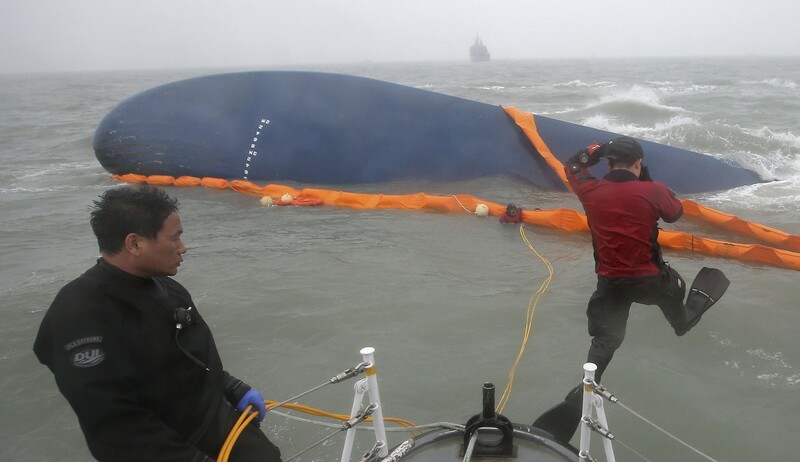 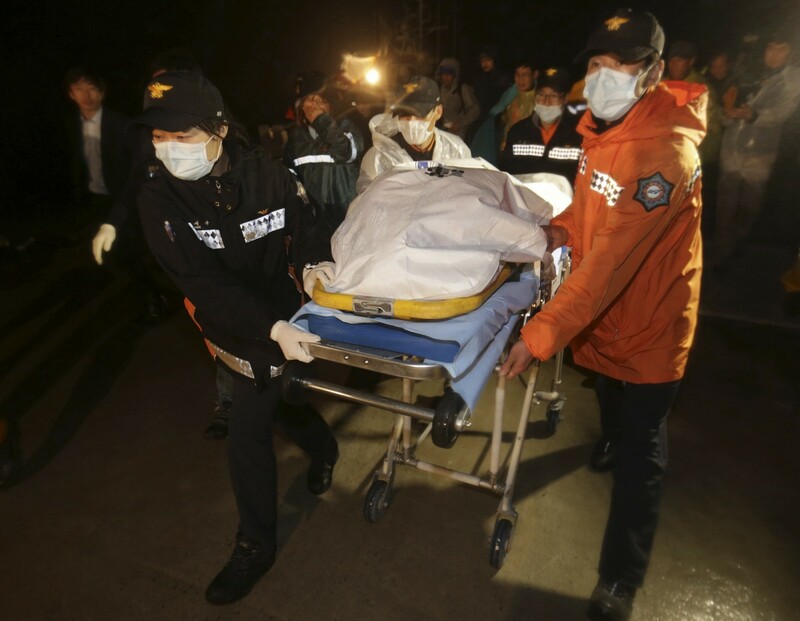 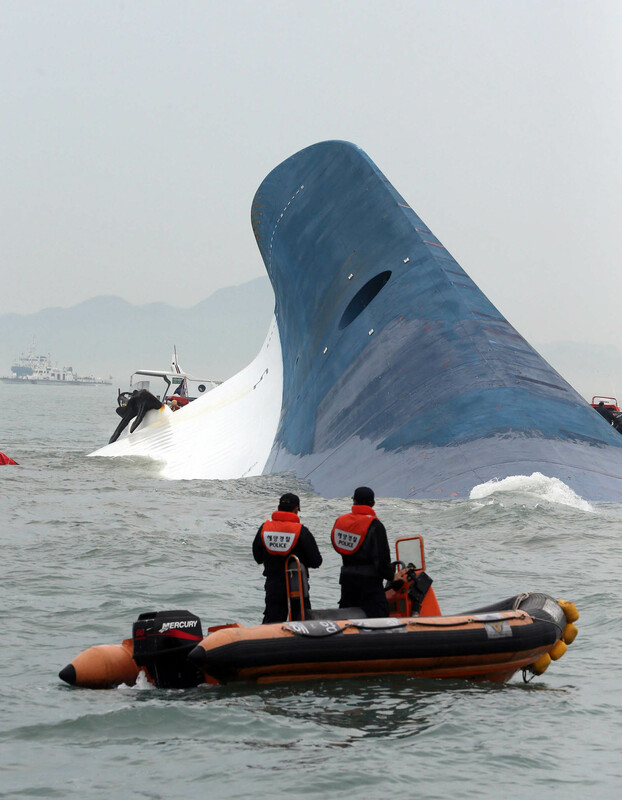 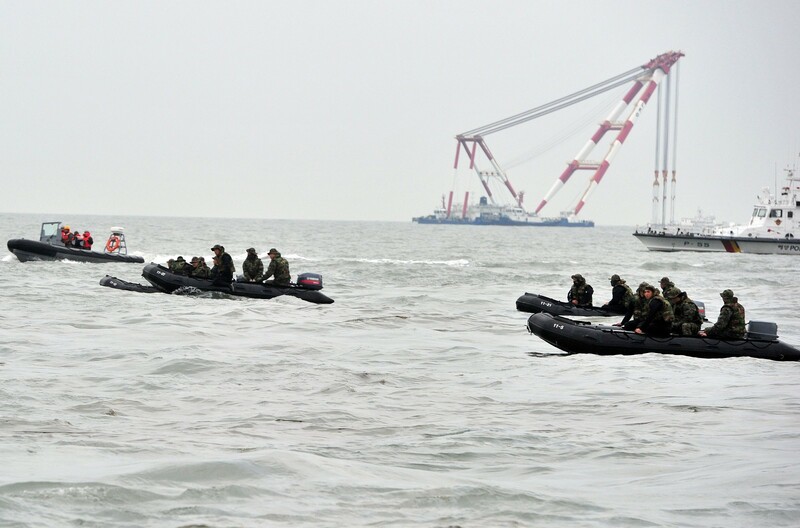 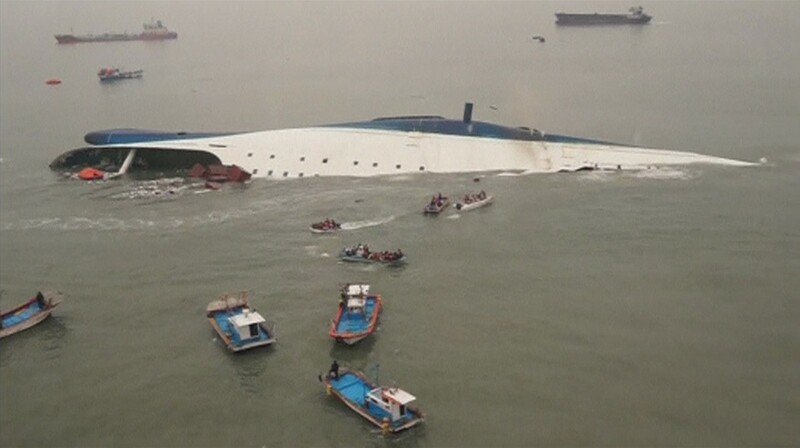 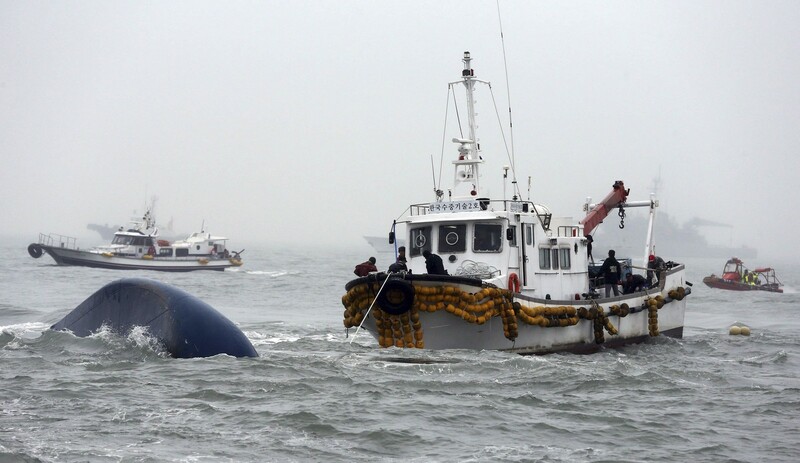 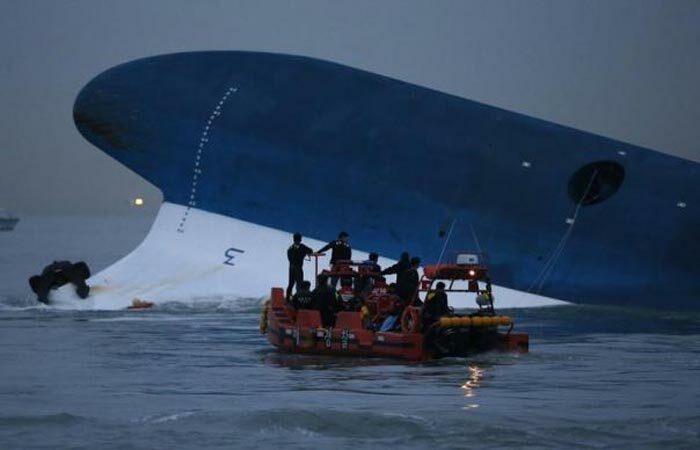 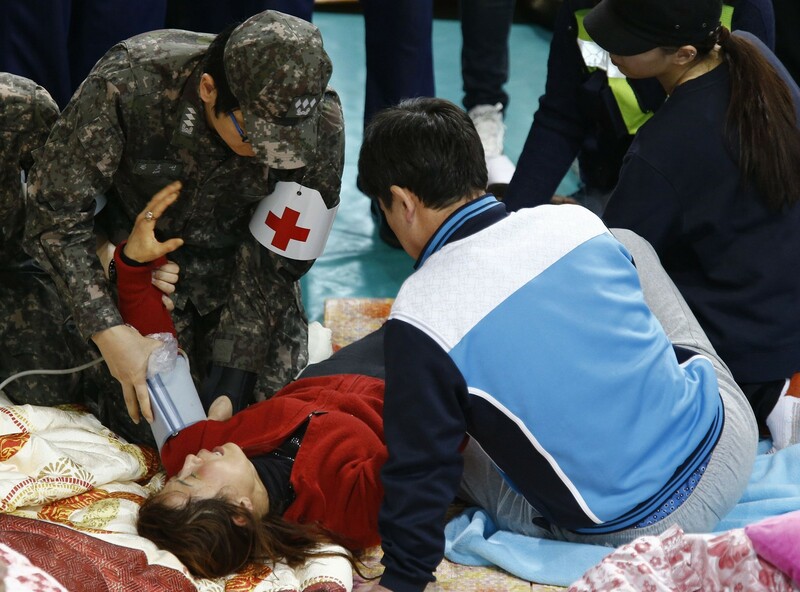 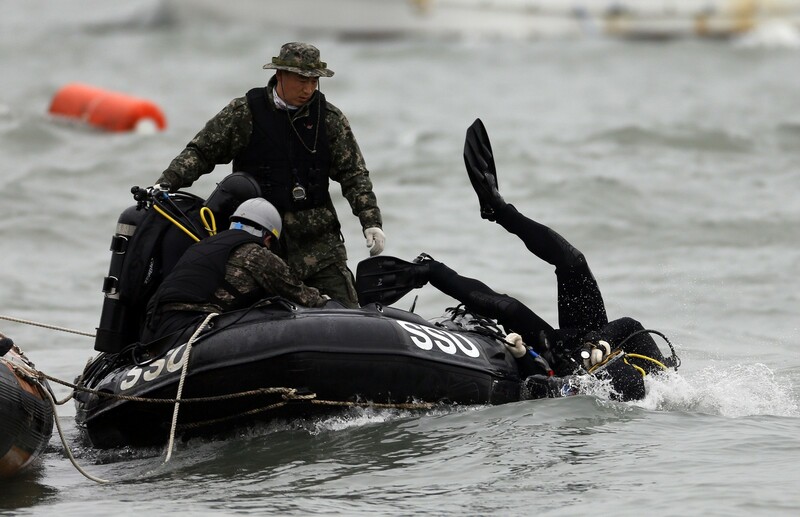 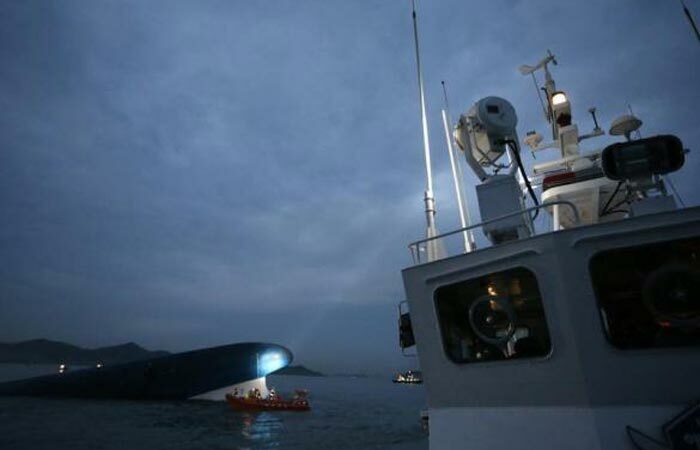 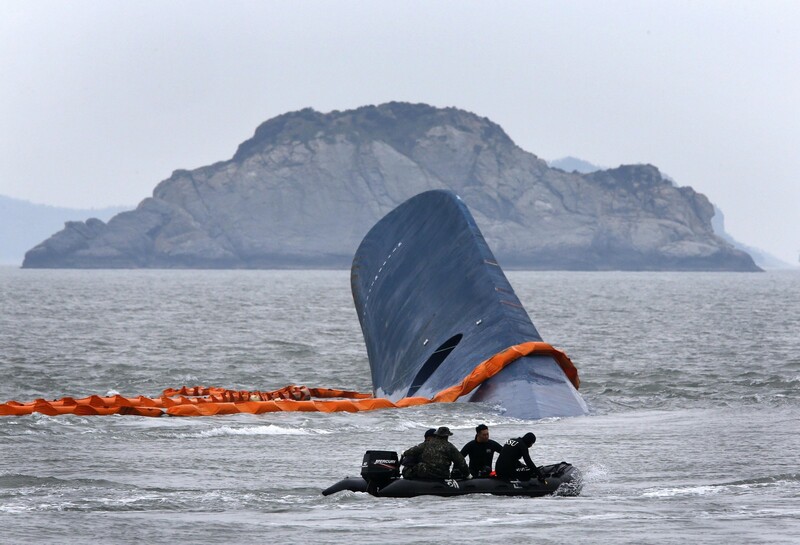 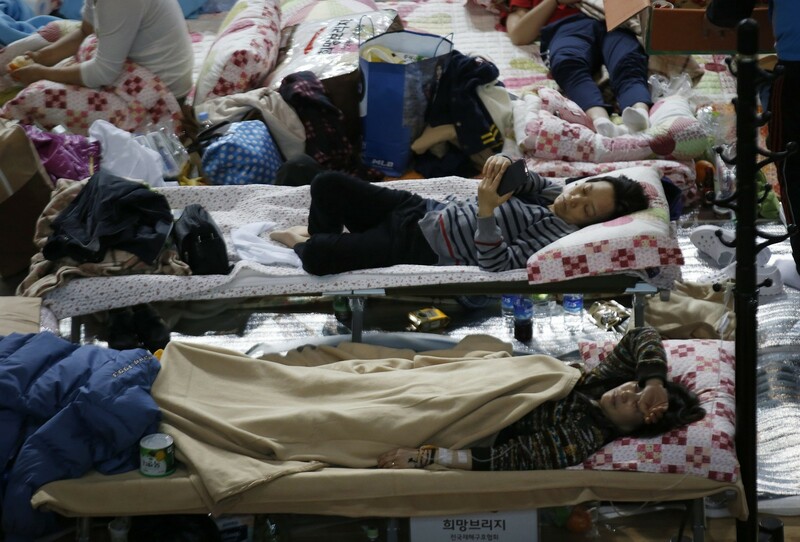 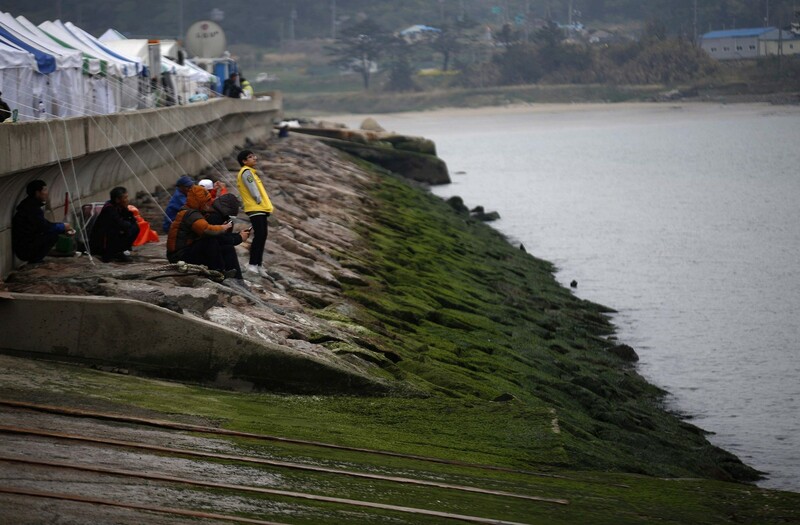 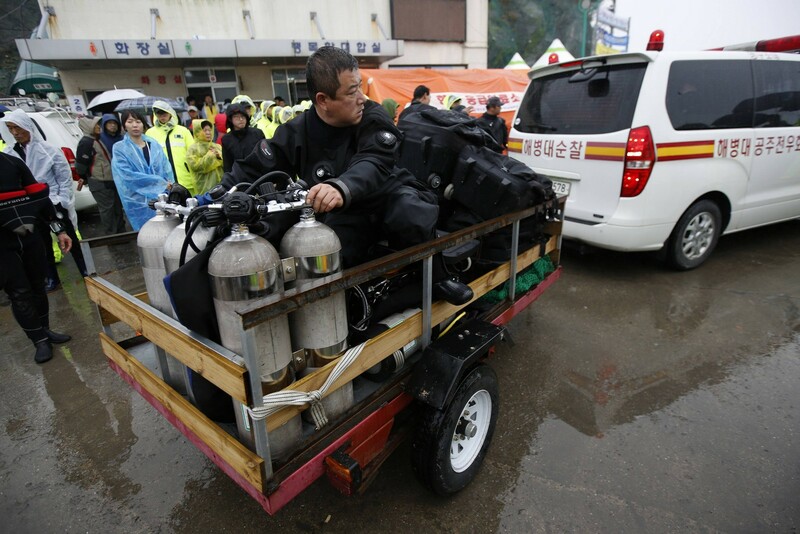 SEOUL - South Korean prosecutors on Monday carried out a series of raids, including on a coastguard office, as part of their widening investigation into a ferry disaster that left 300 dead or missing. 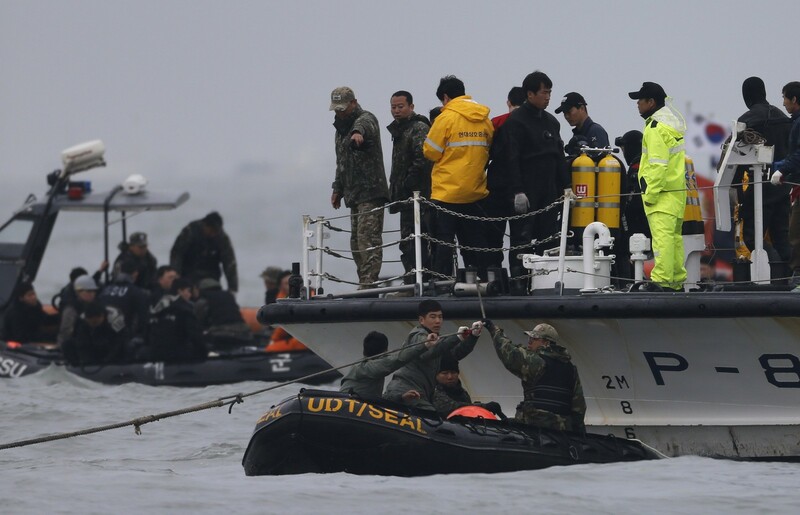 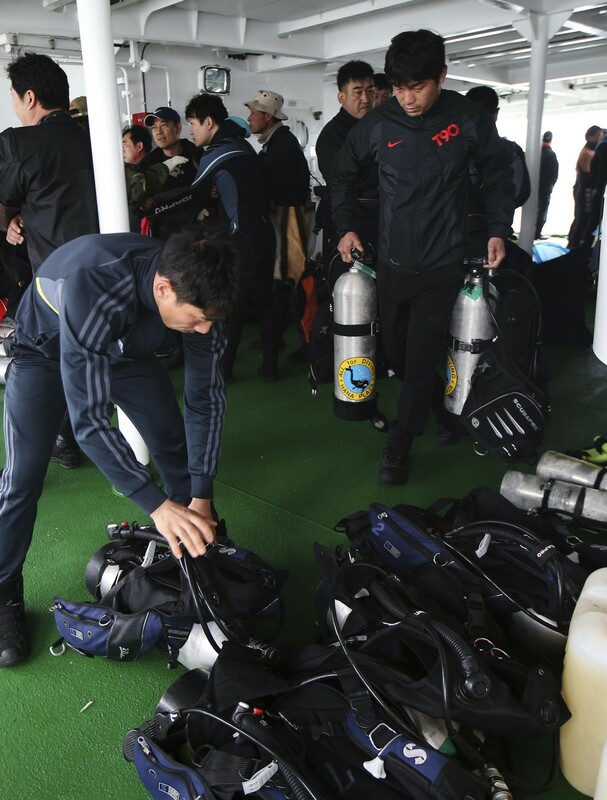 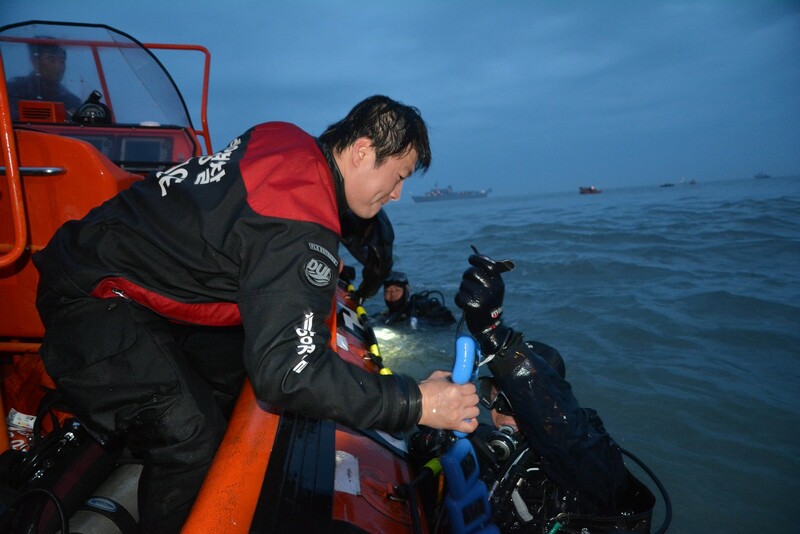 Divers again tried to penetrate the flooded interior of the vessel in their grim search for the bodies of 114 people still unaccounted for. 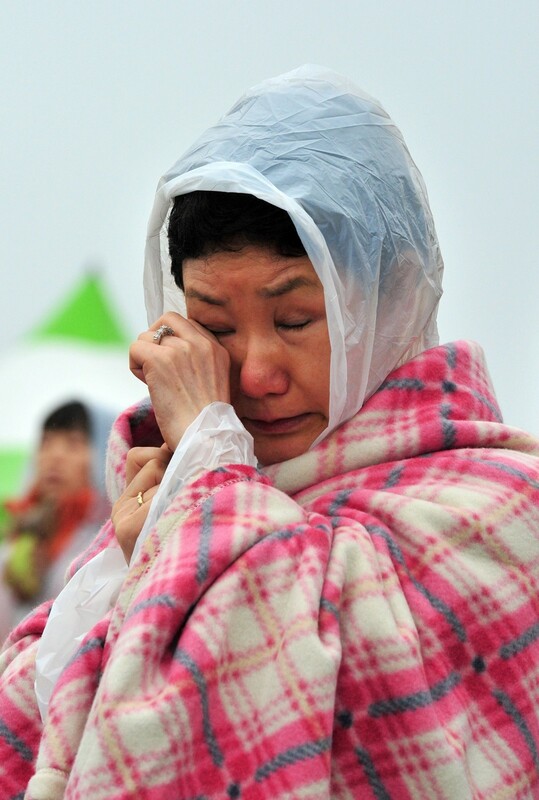 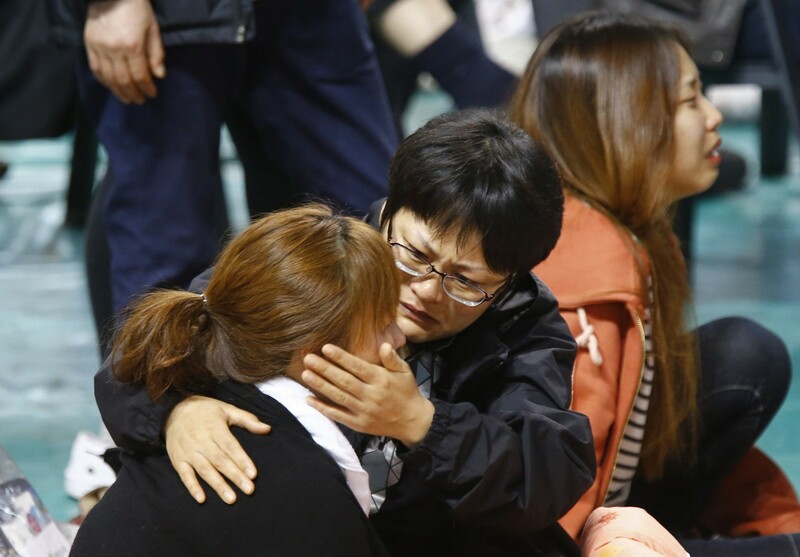 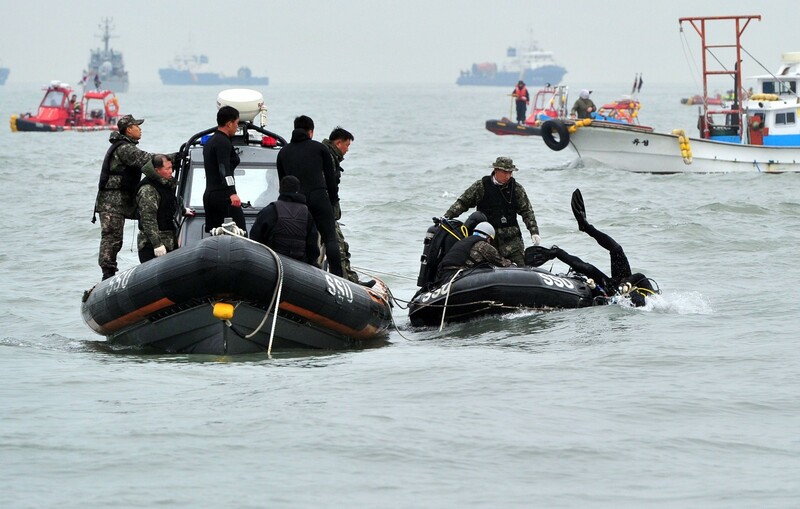 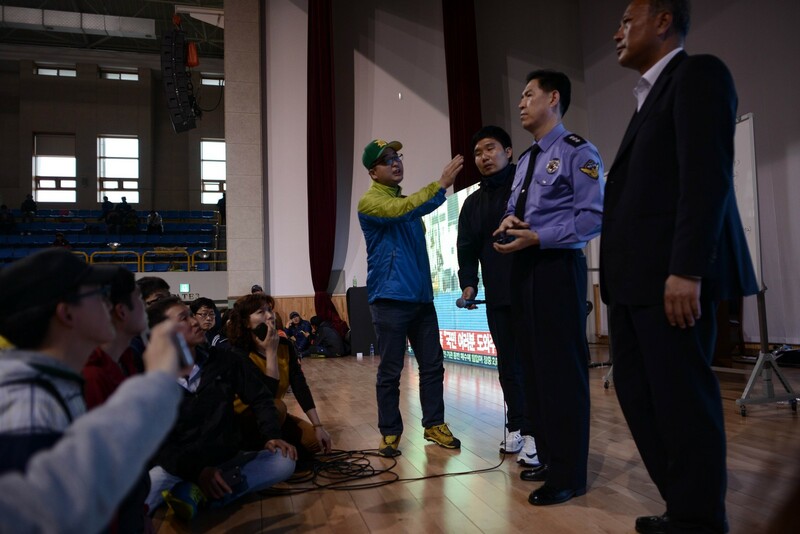 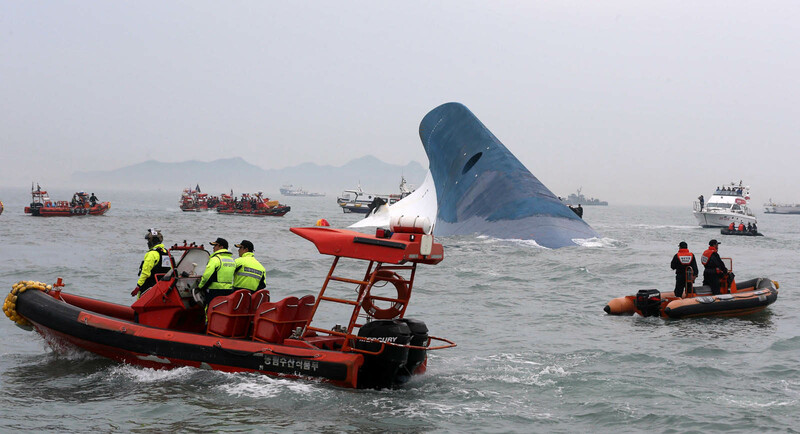 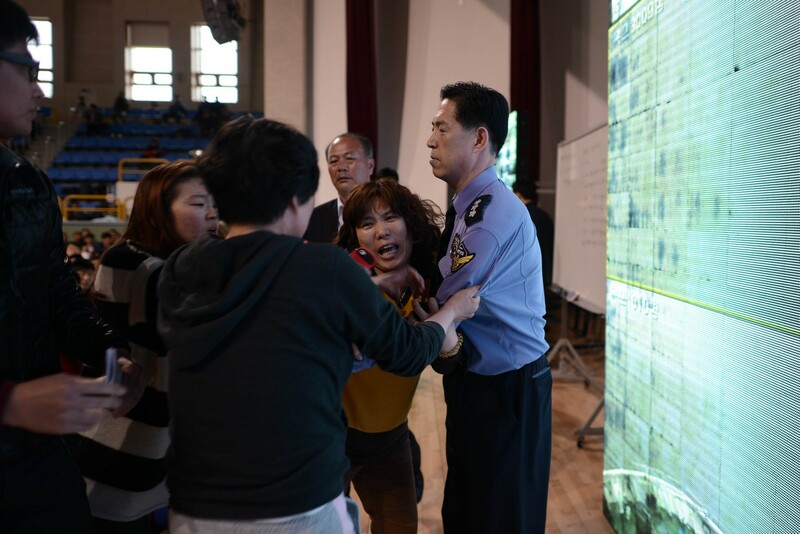 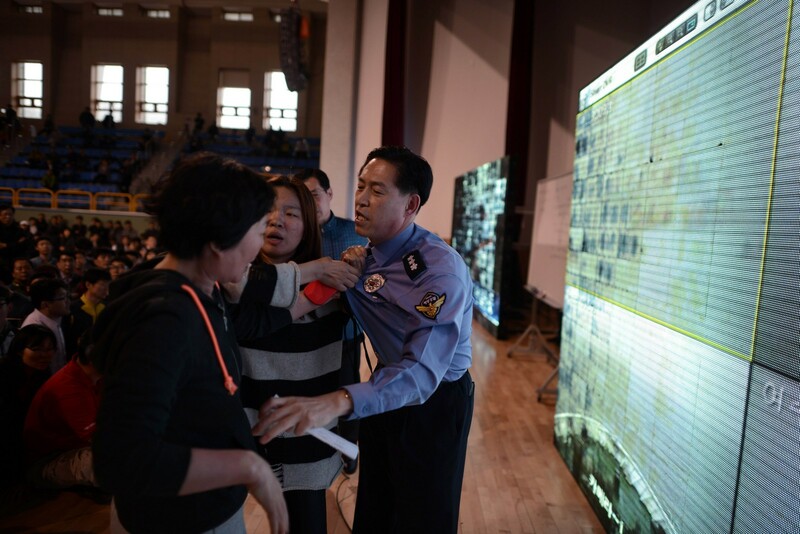 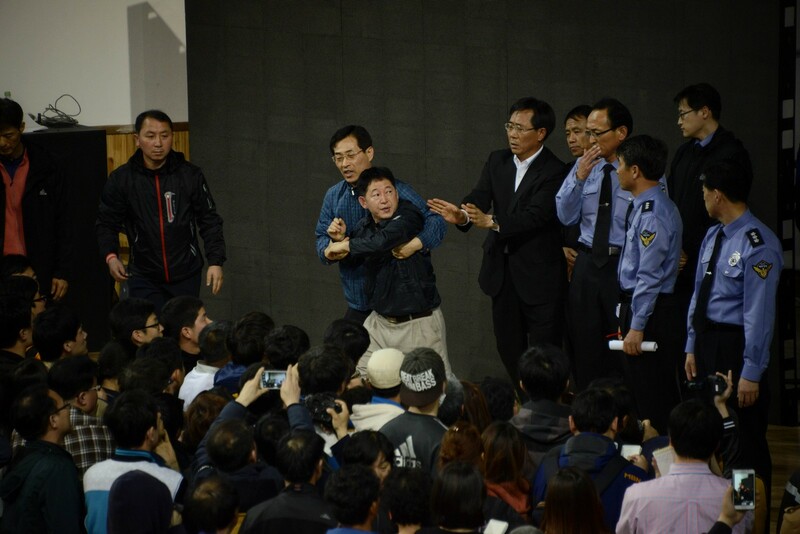 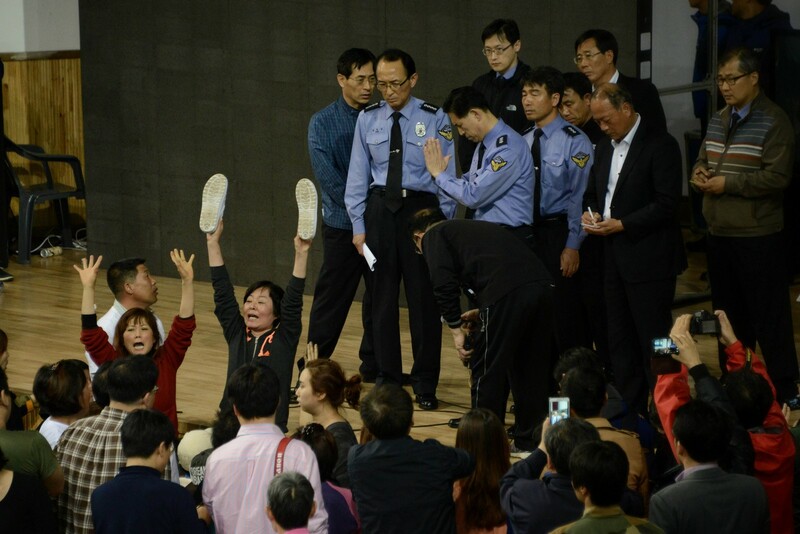 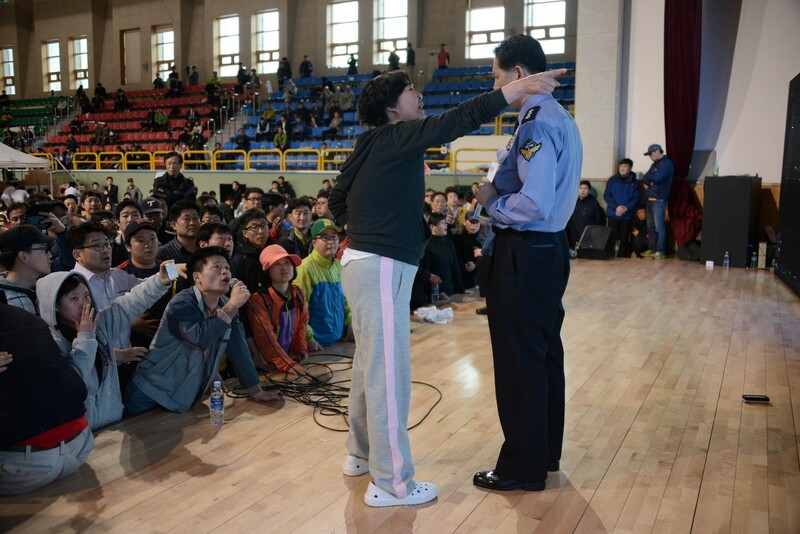 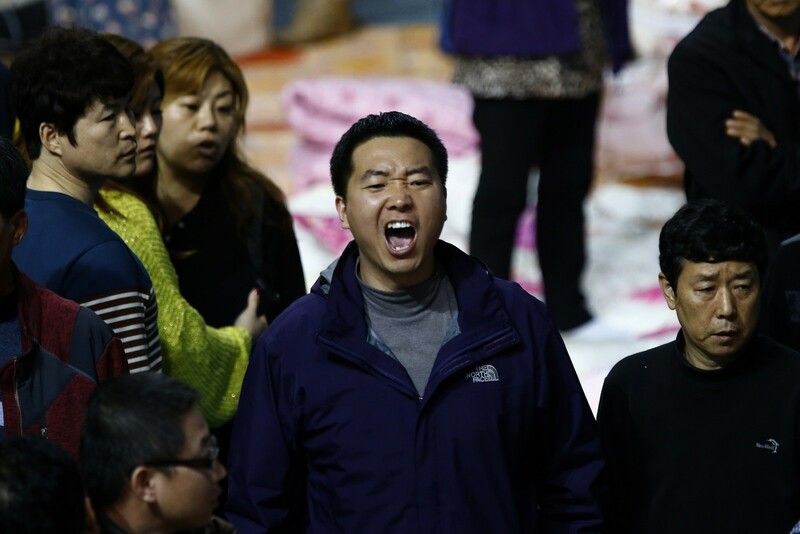 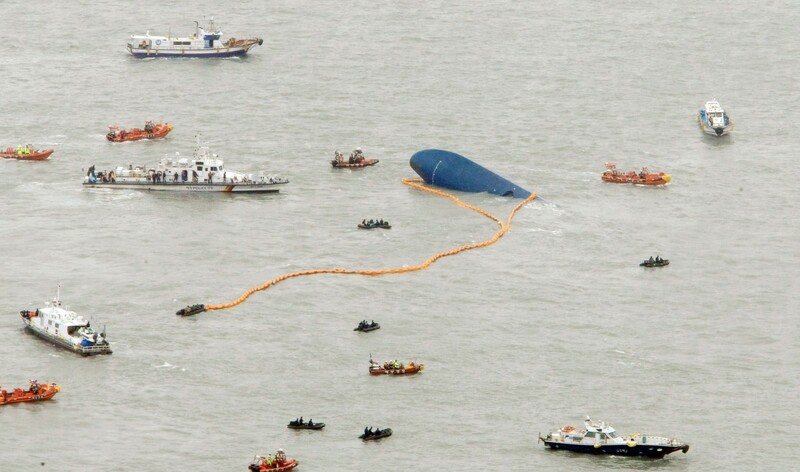 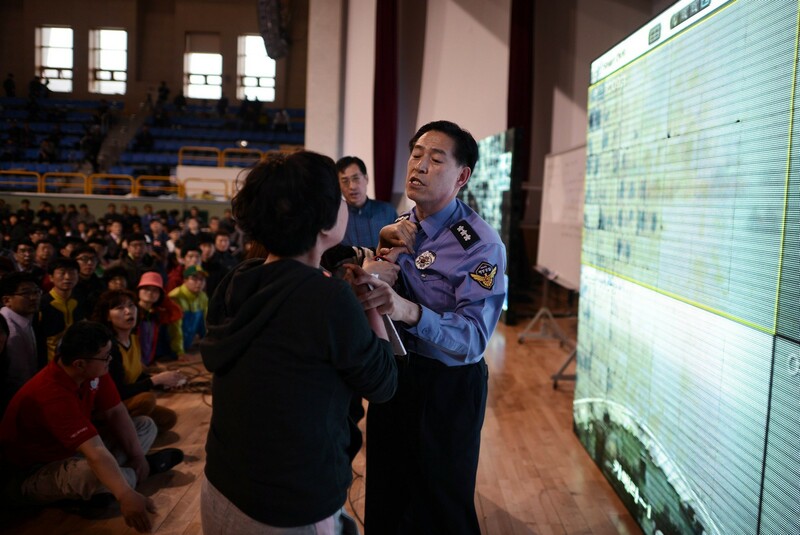 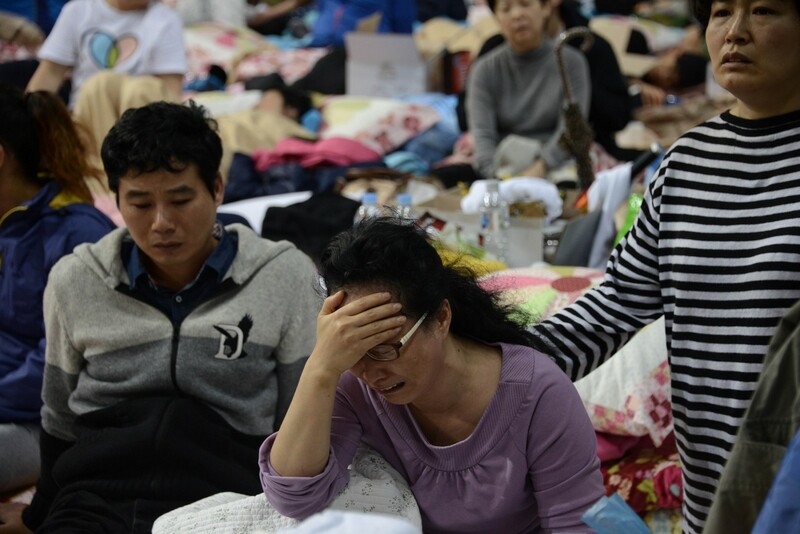 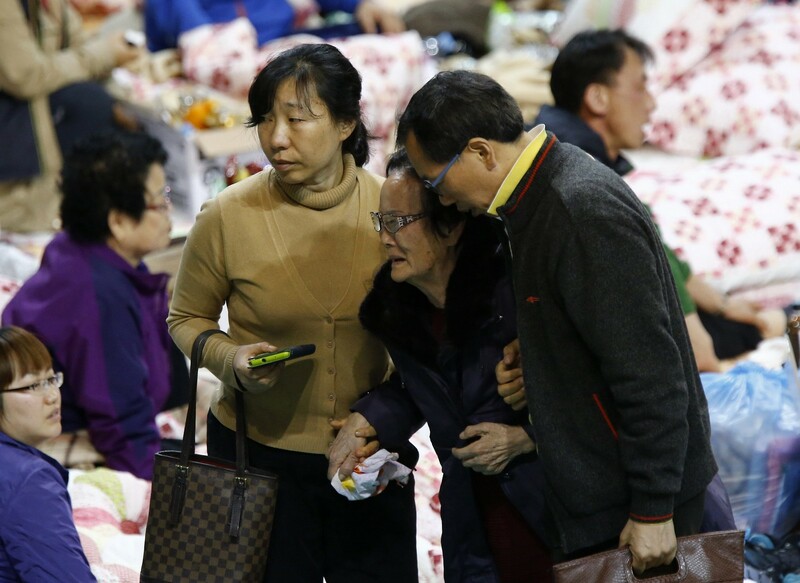 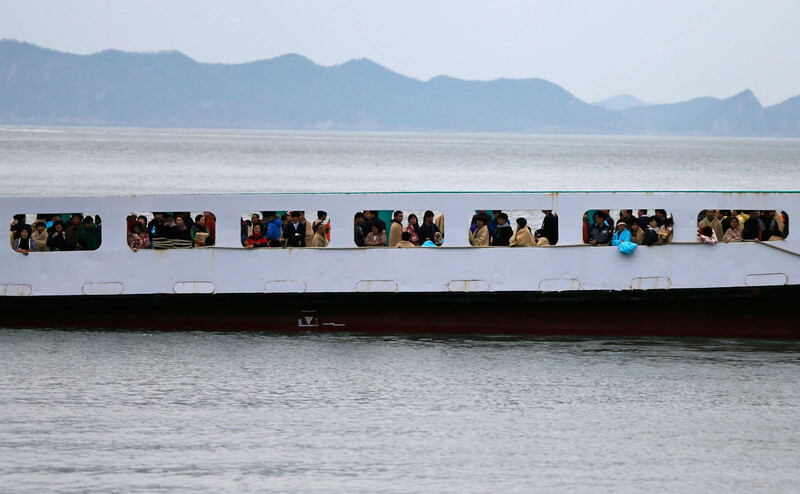 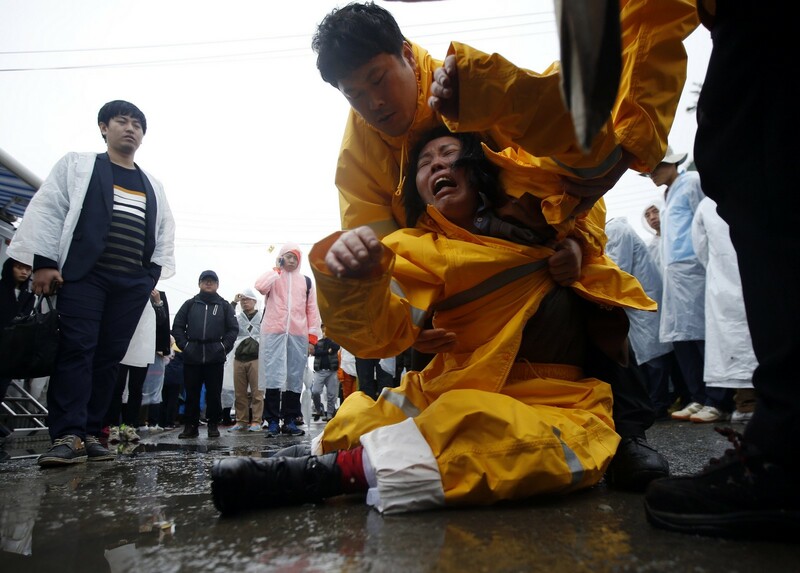 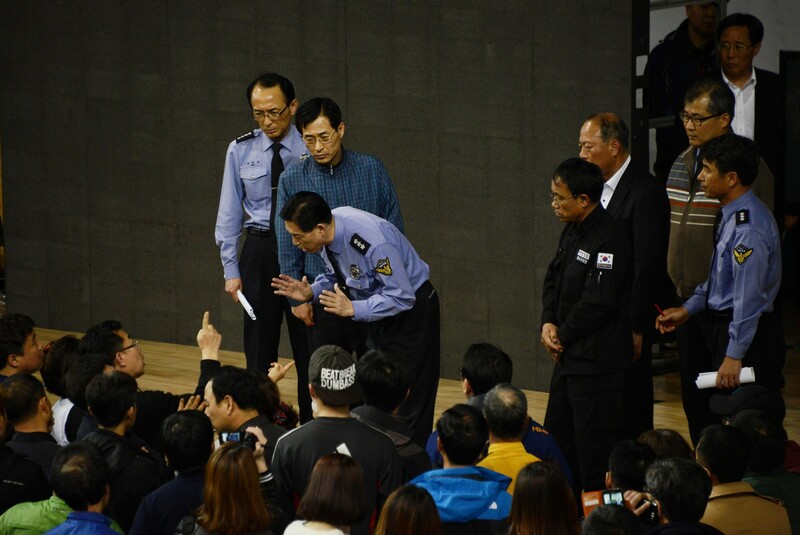 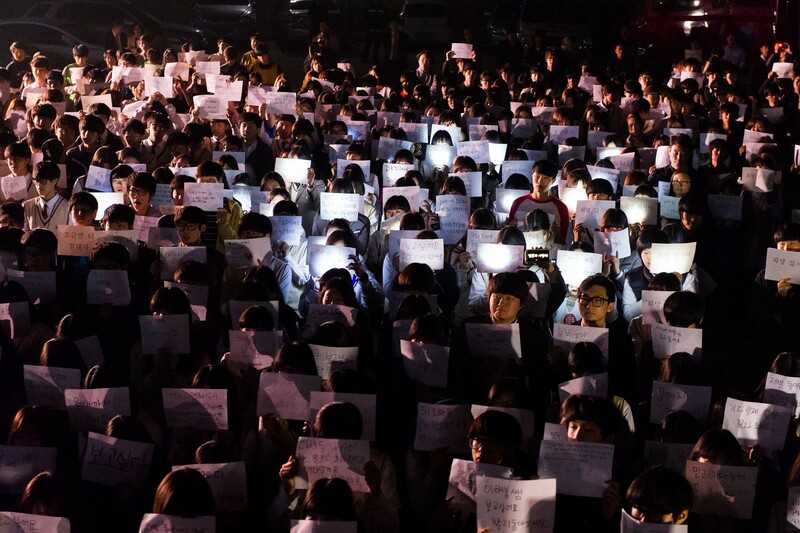 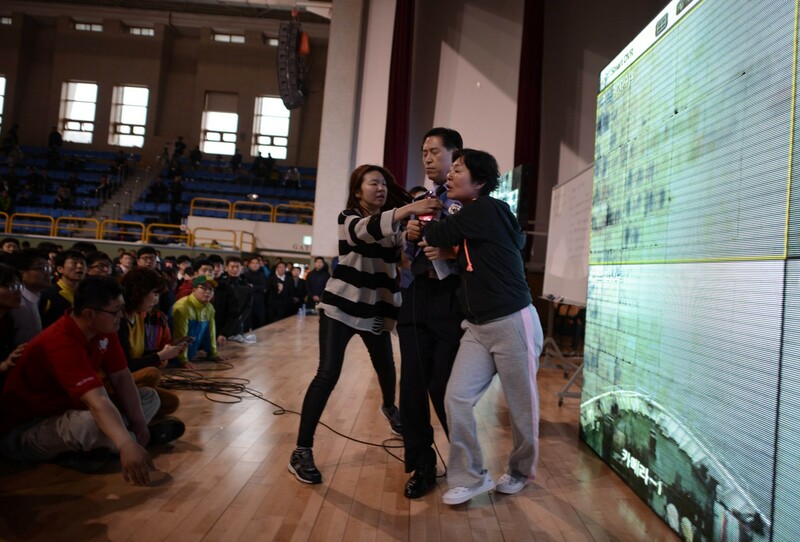 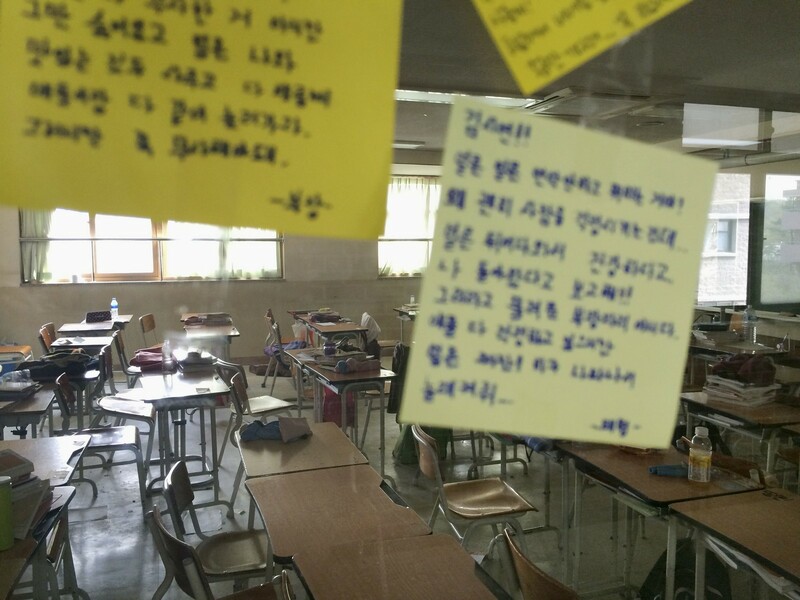 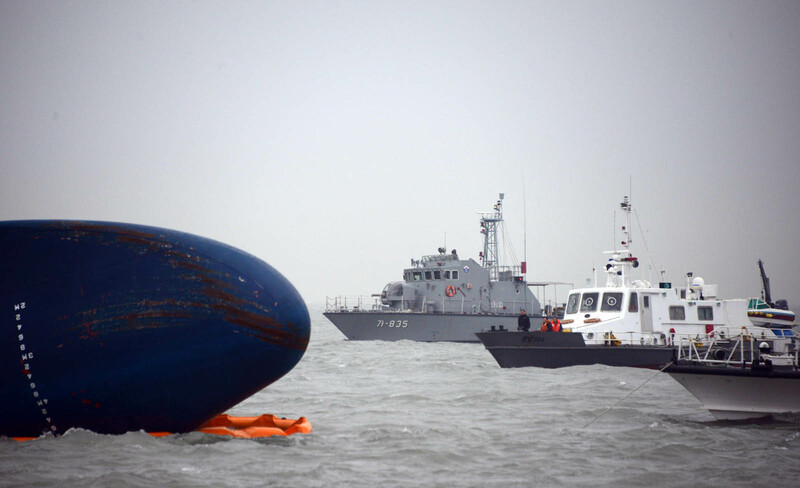 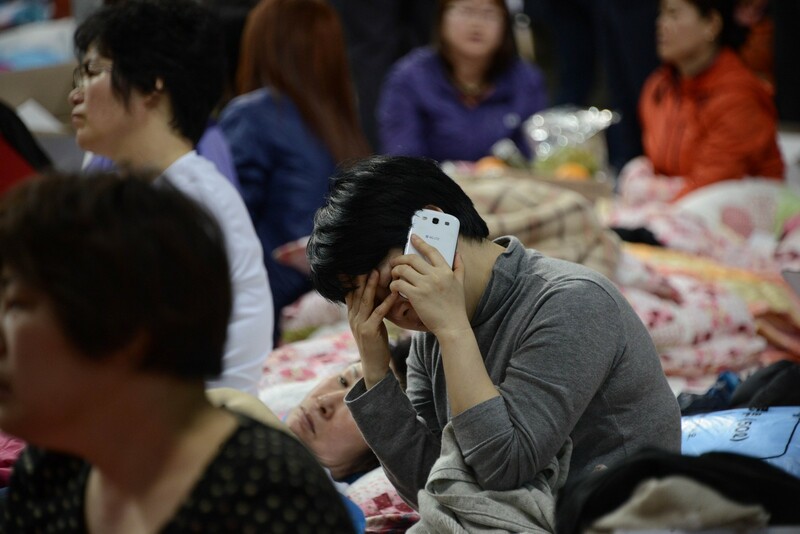 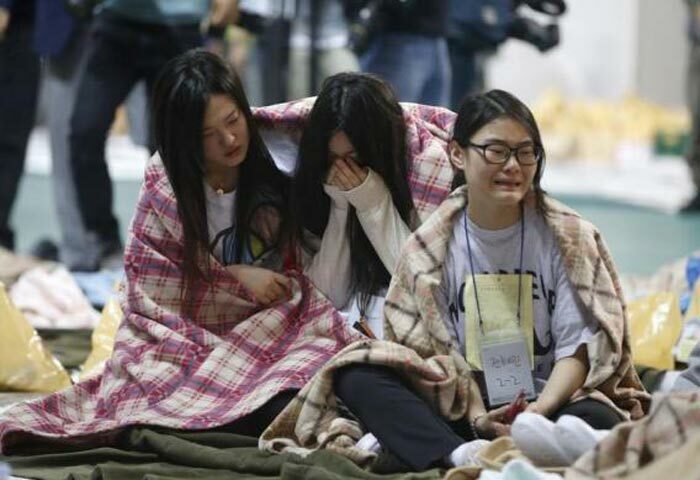 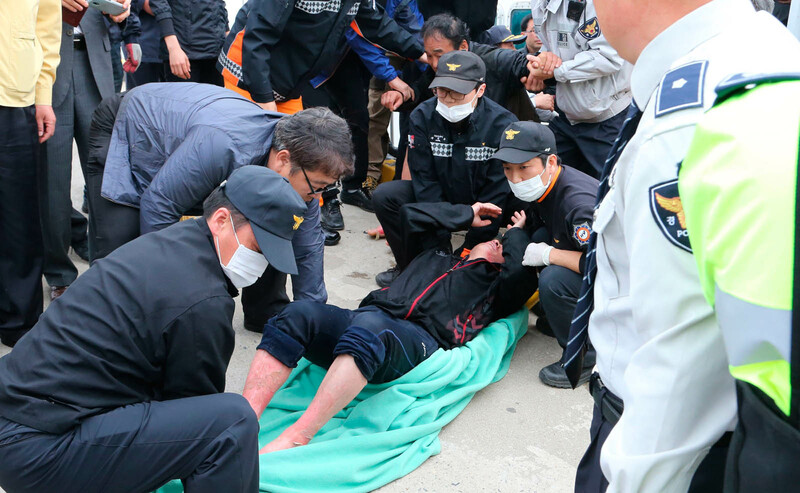 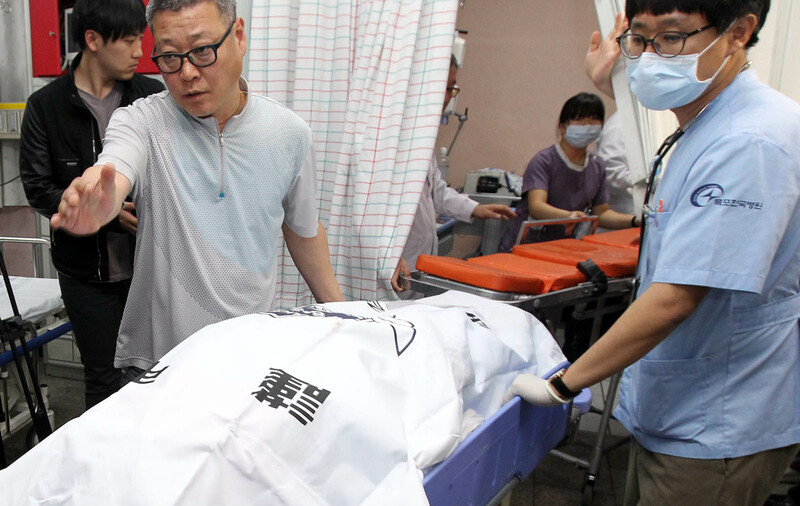 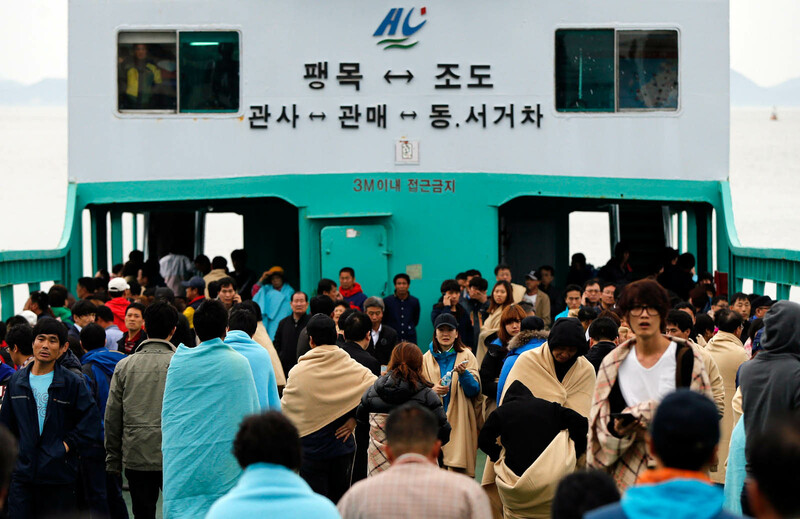 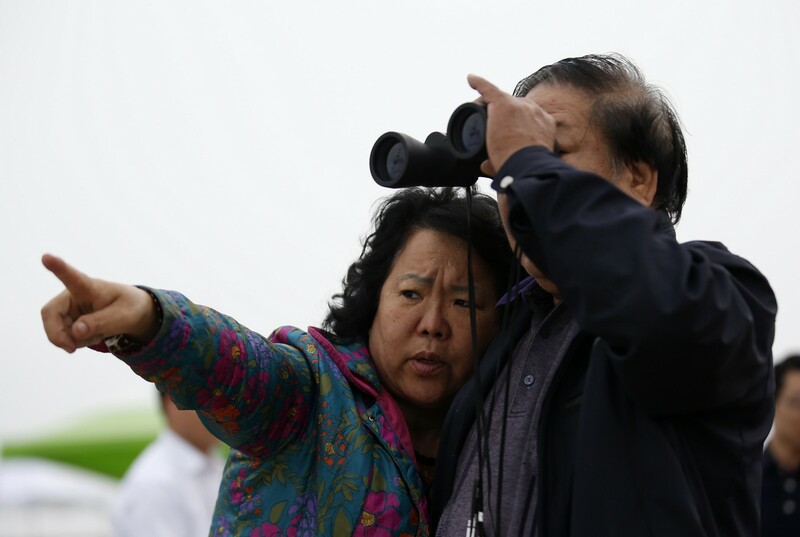 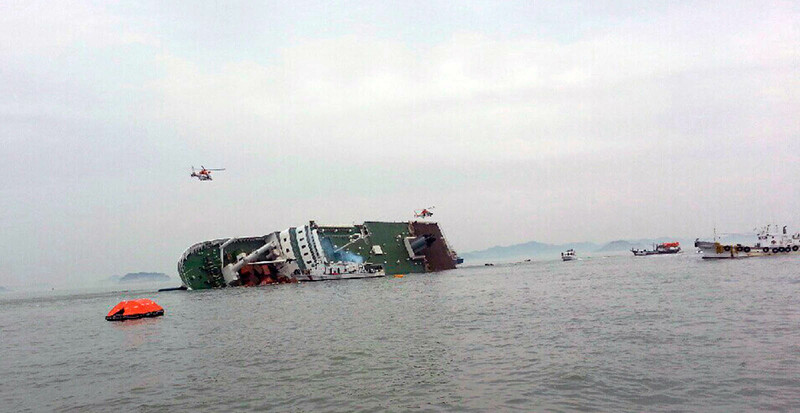 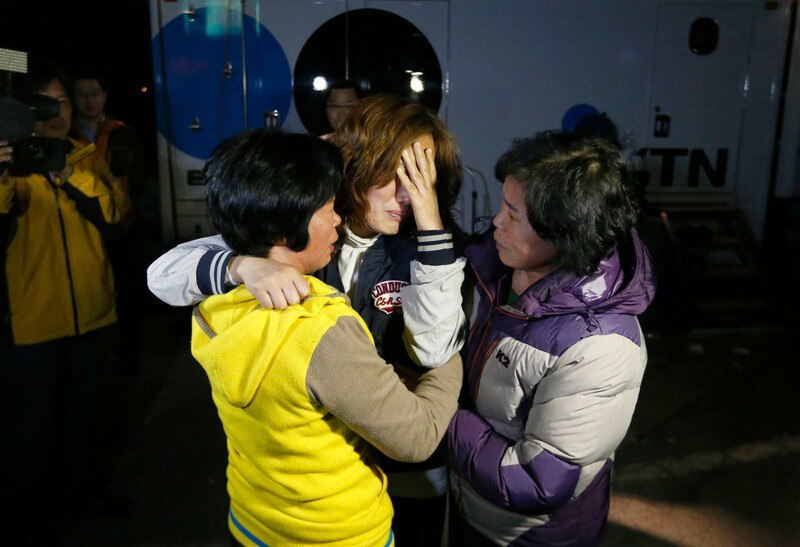 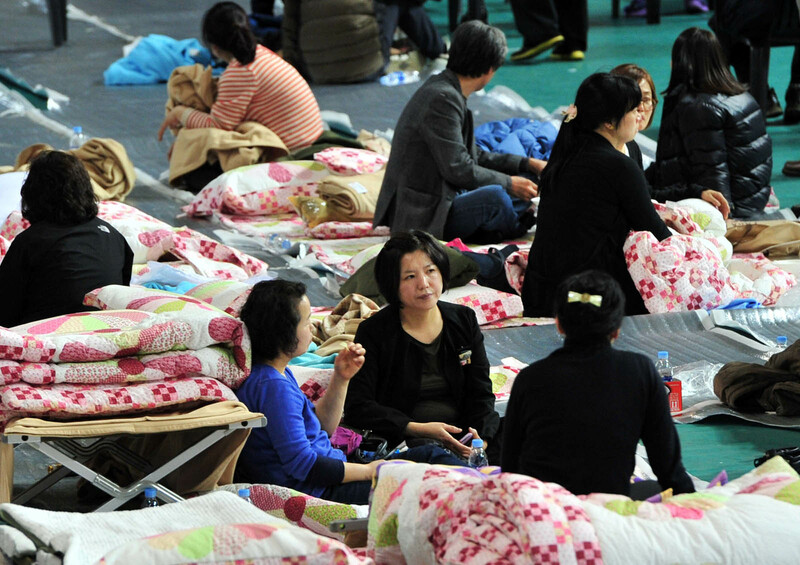 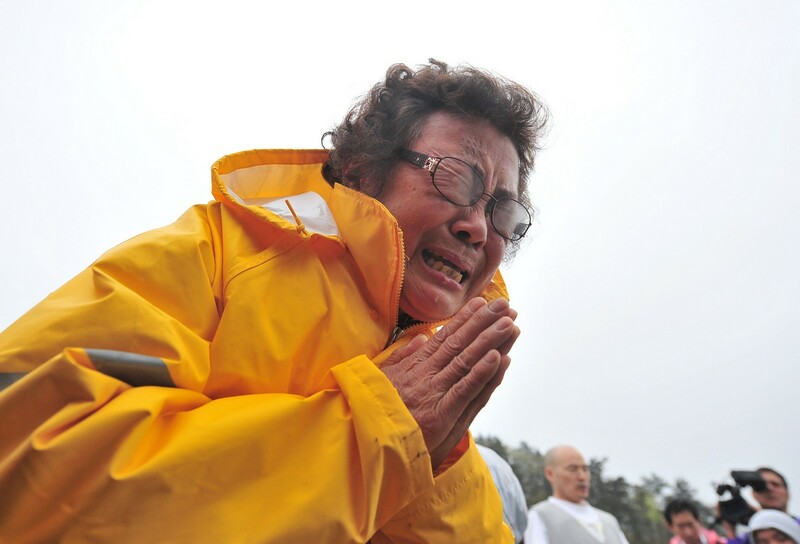 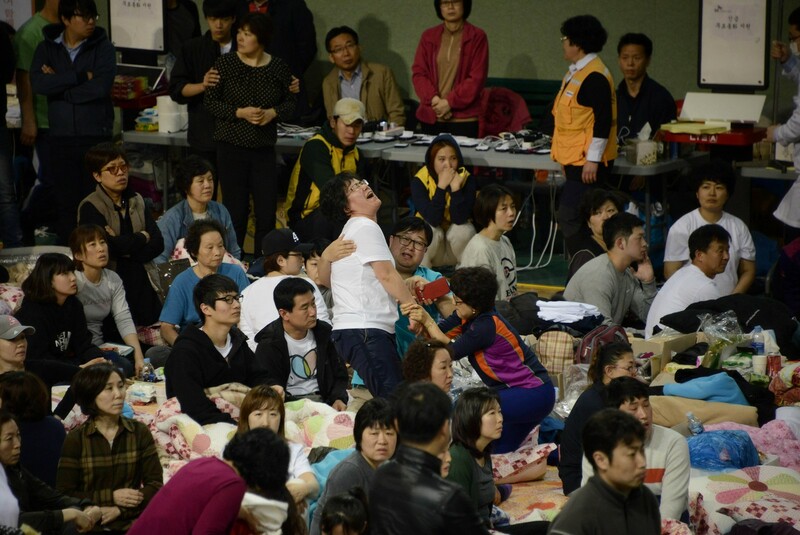 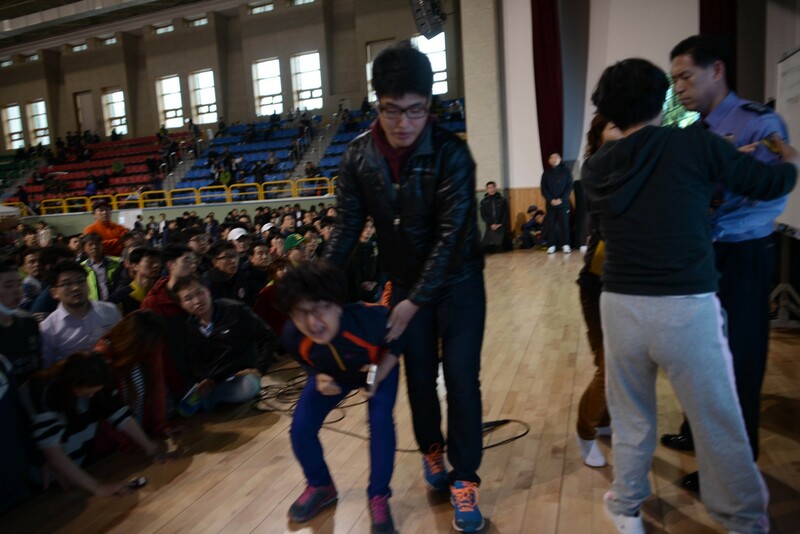 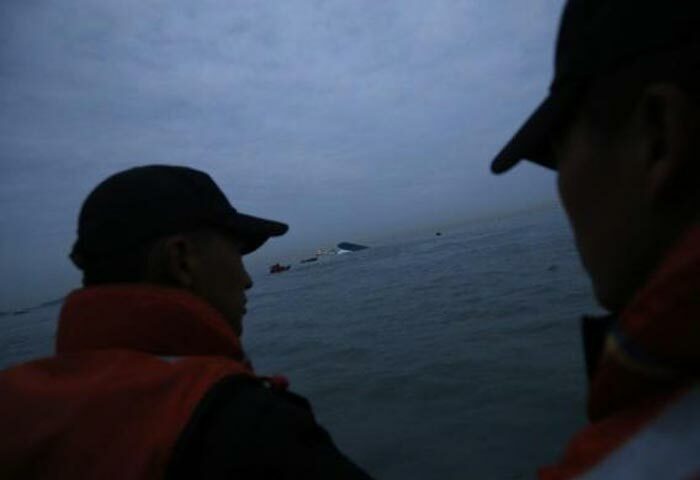 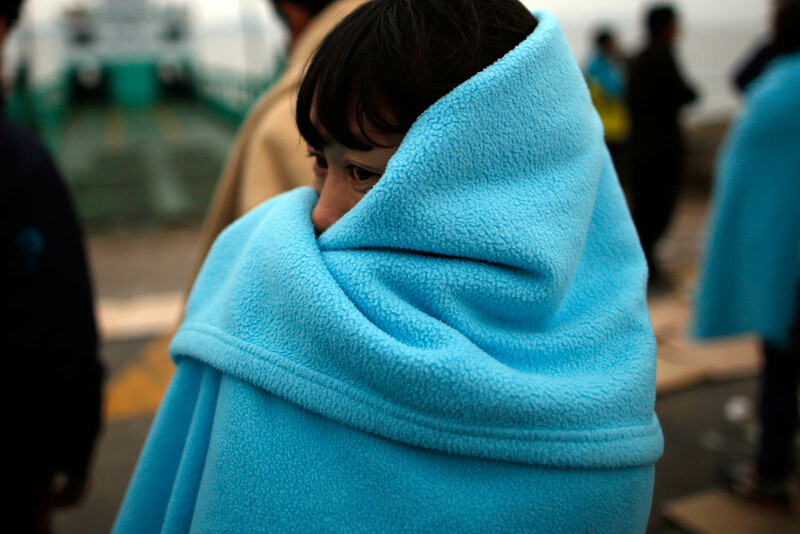 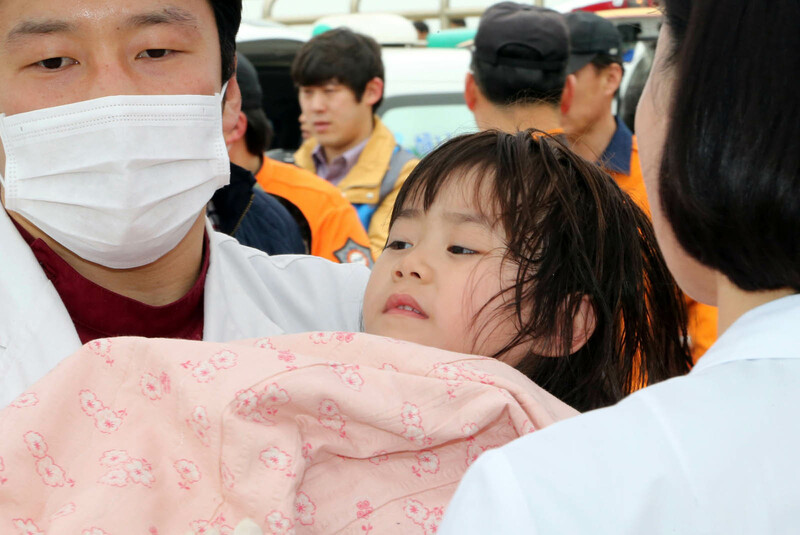 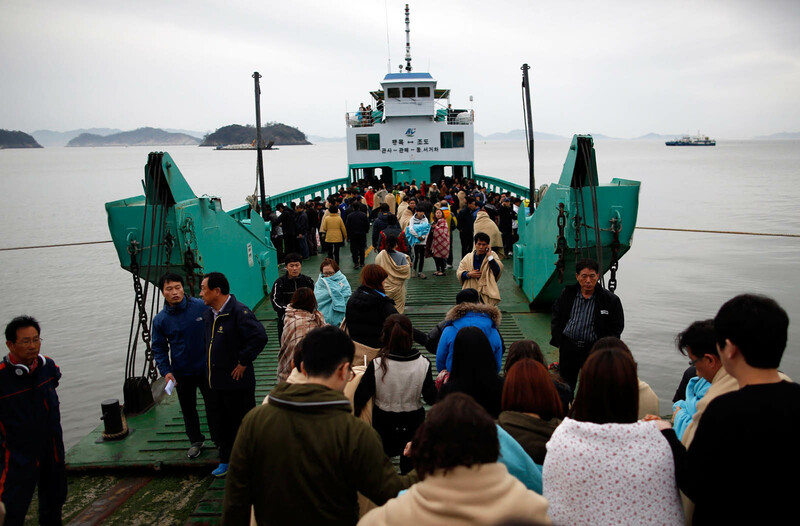 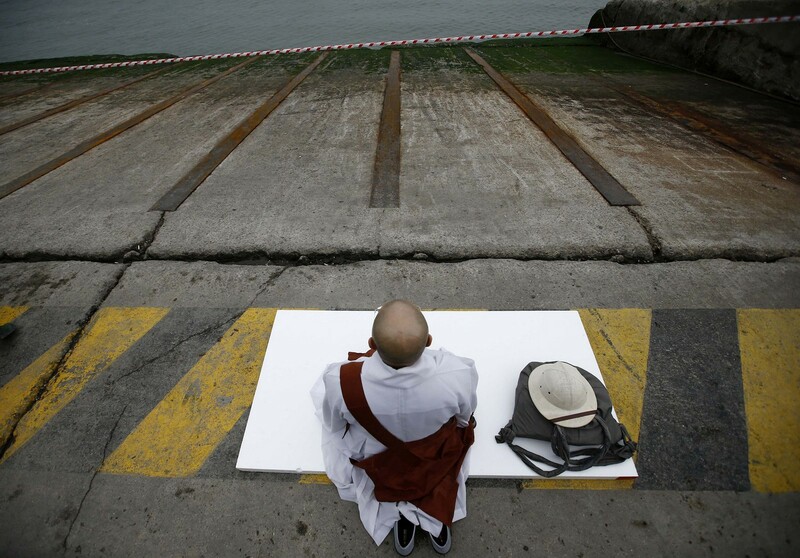 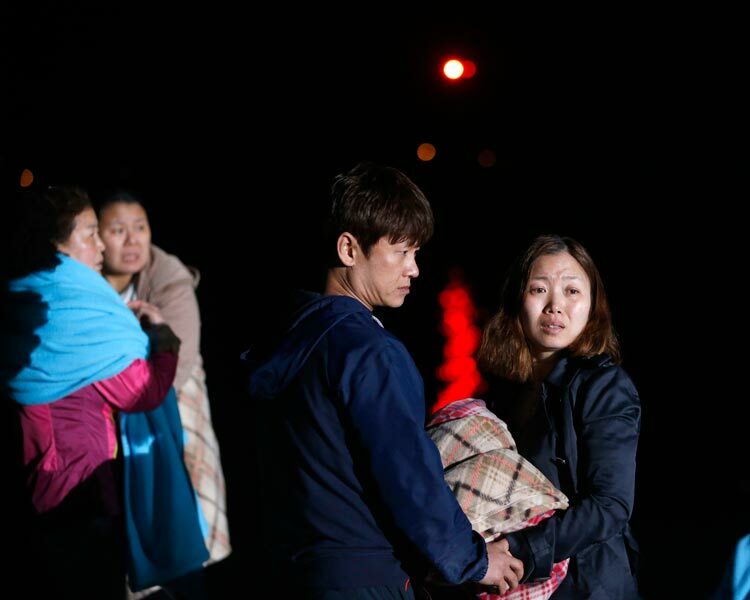 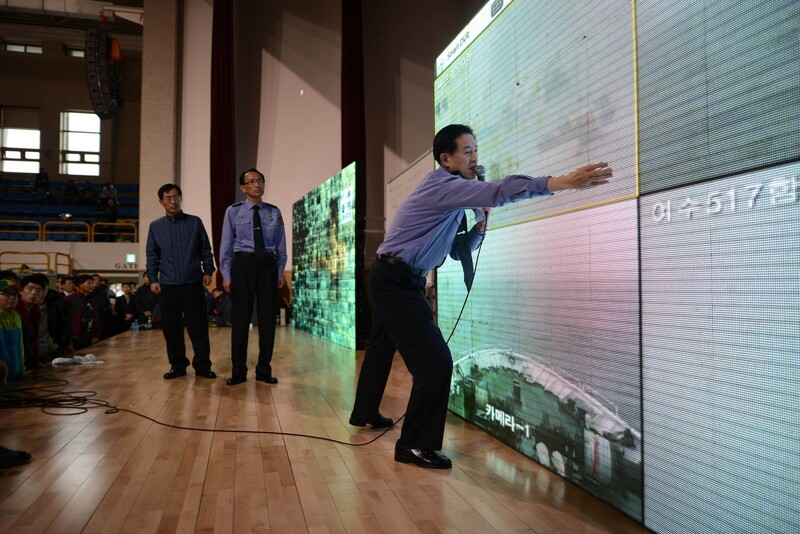 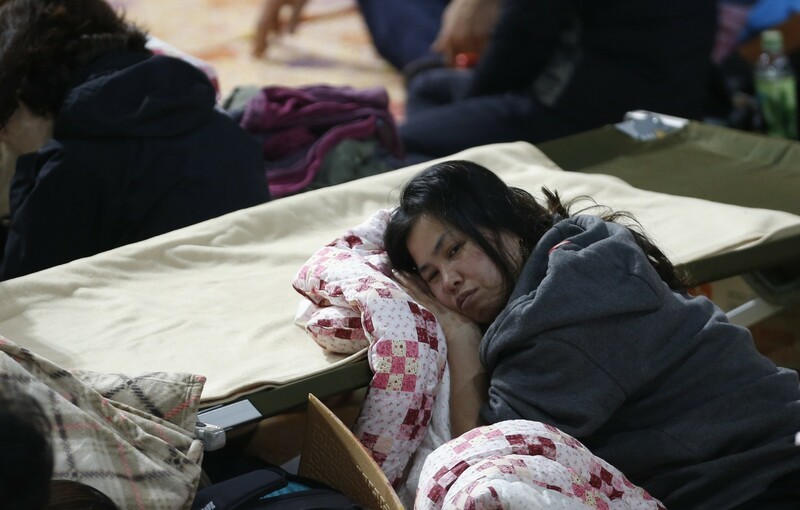 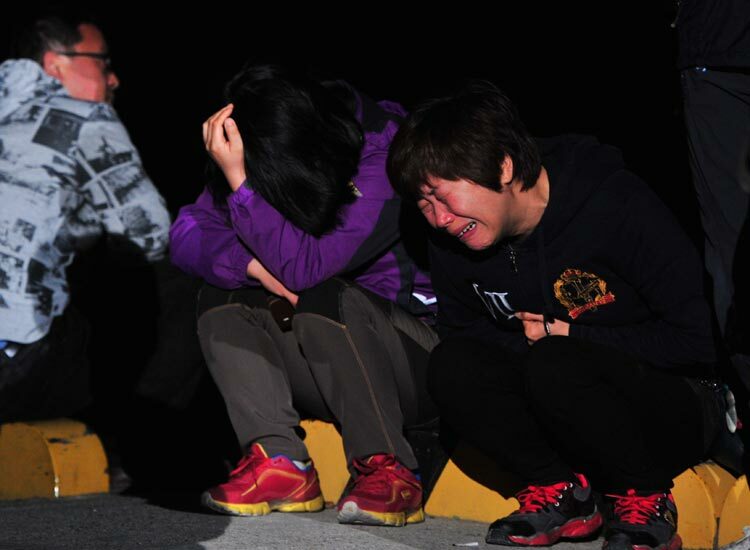 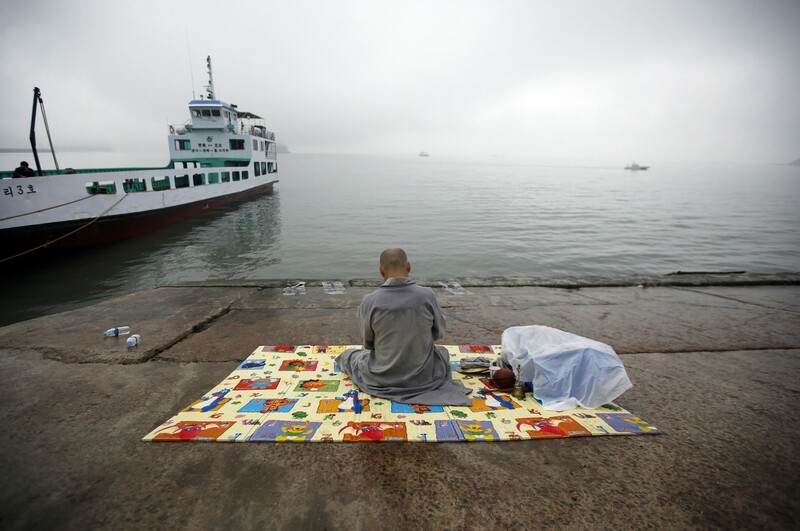 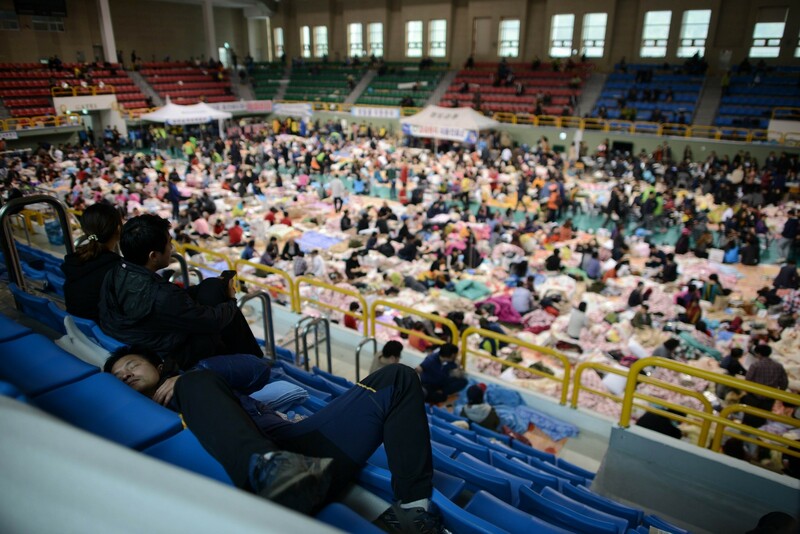 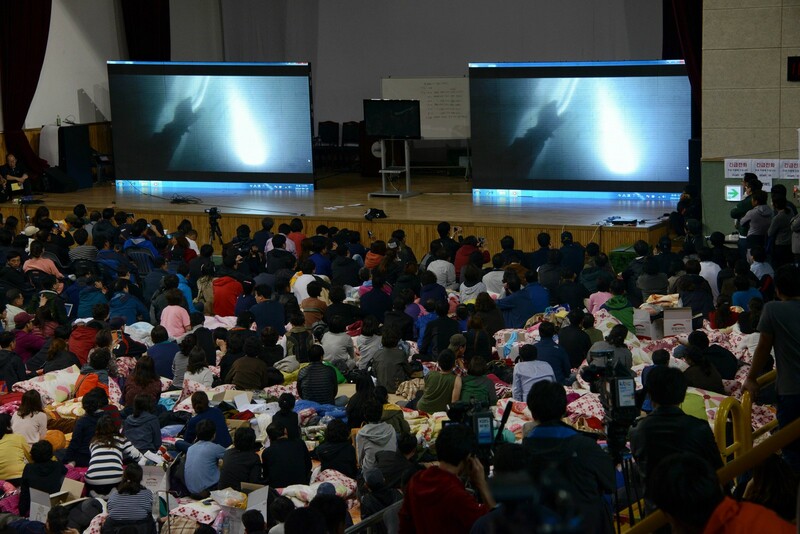 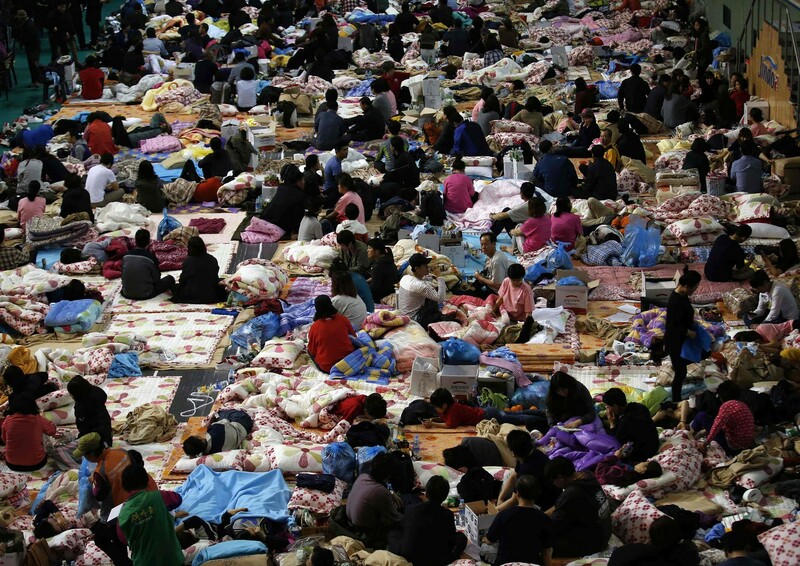 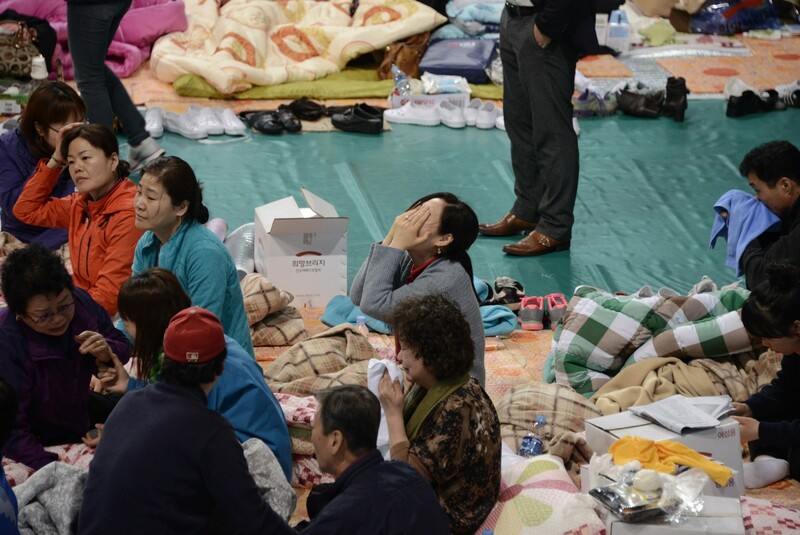 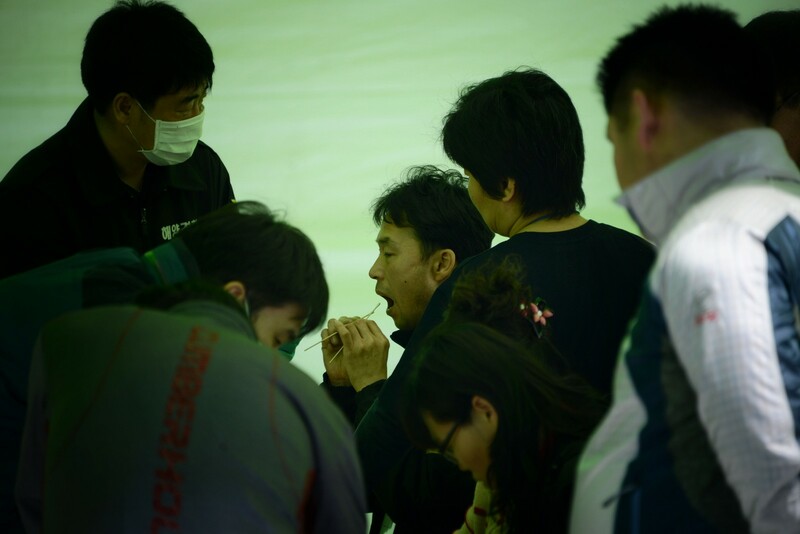 Many of the 476 passengers on board the ferry when it sank on April 16 were schoolchildren. 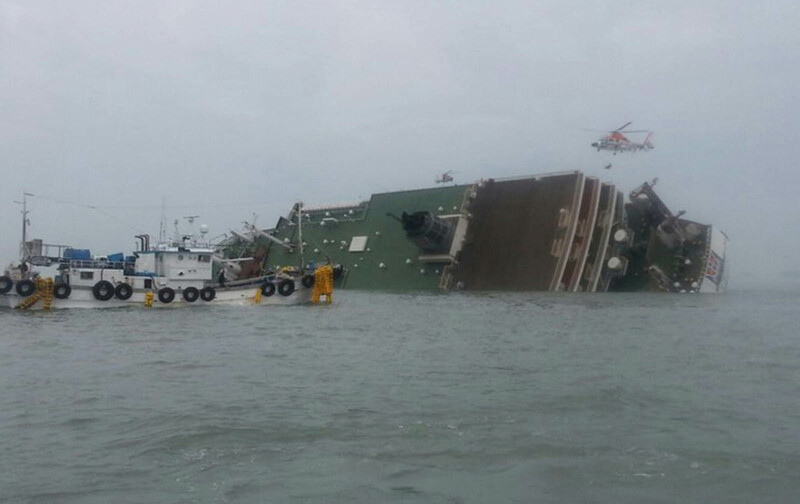 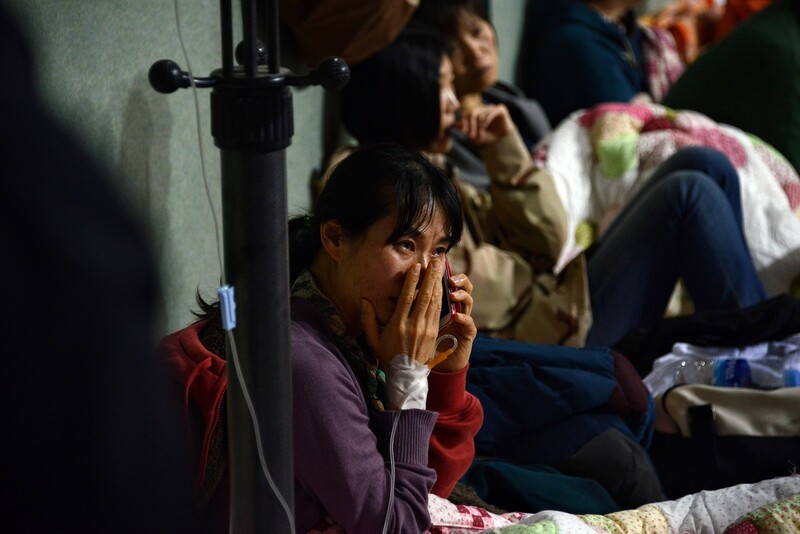 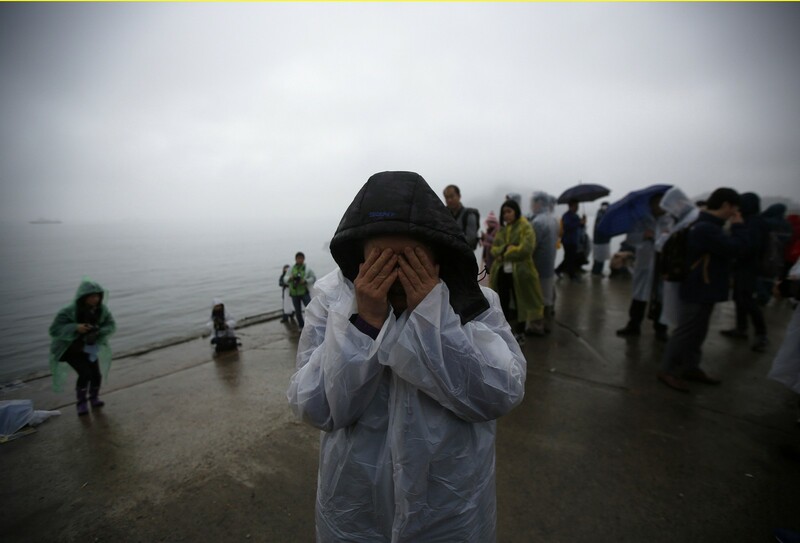 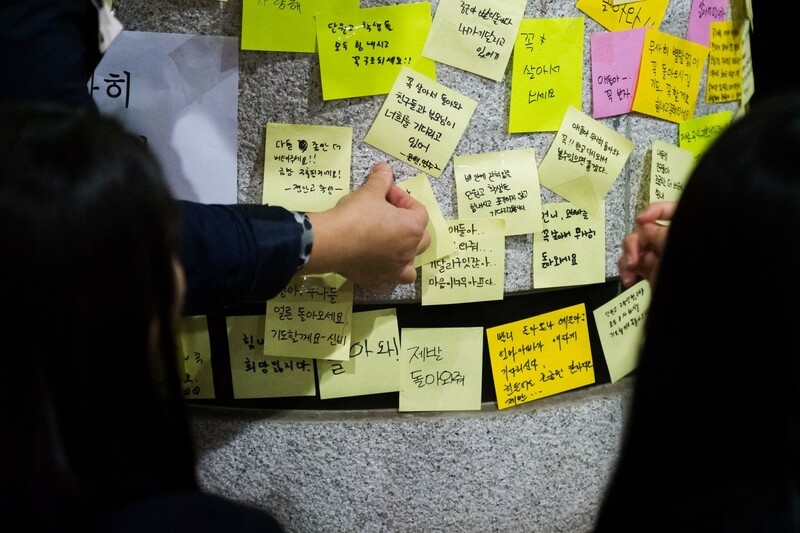 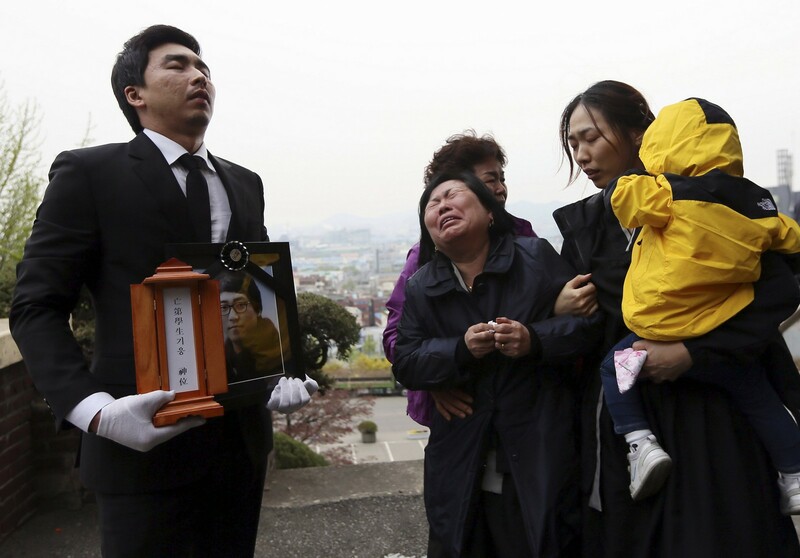 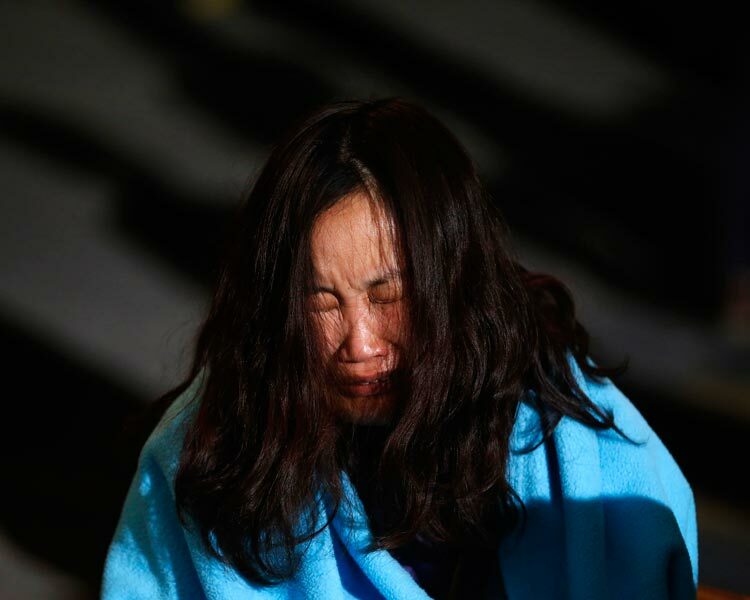 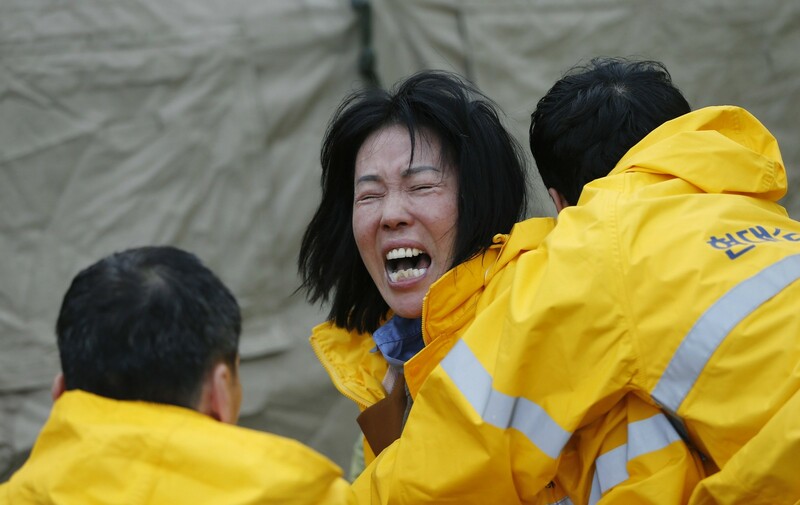 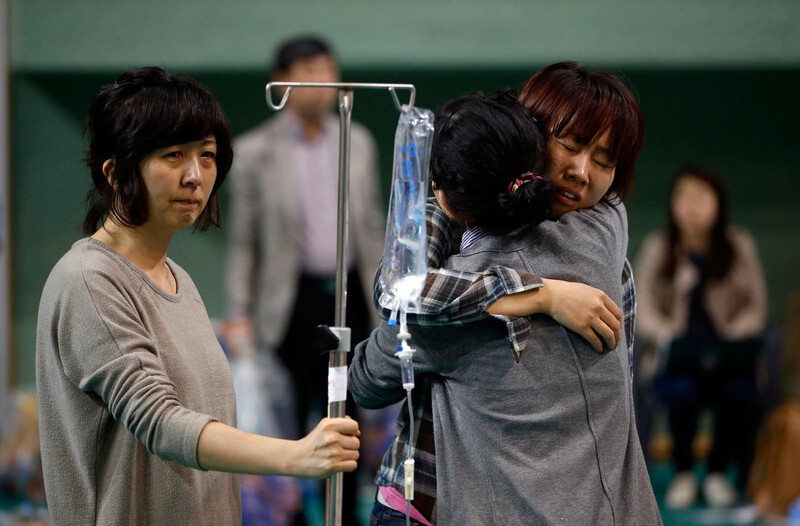 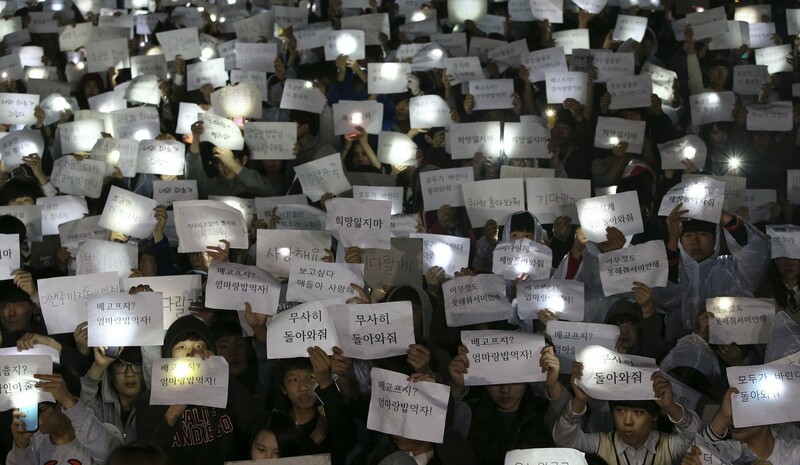 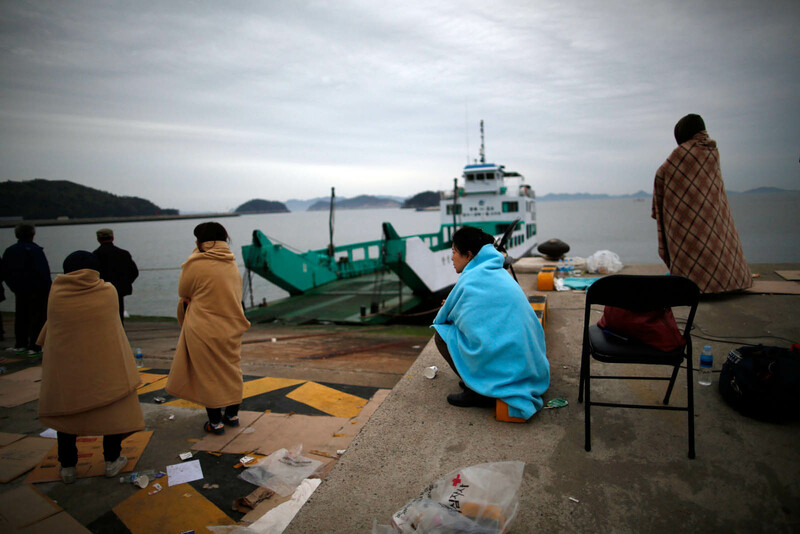 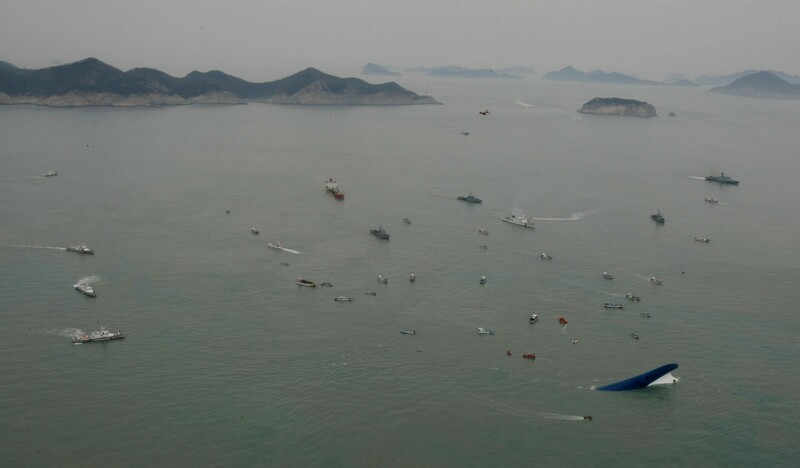 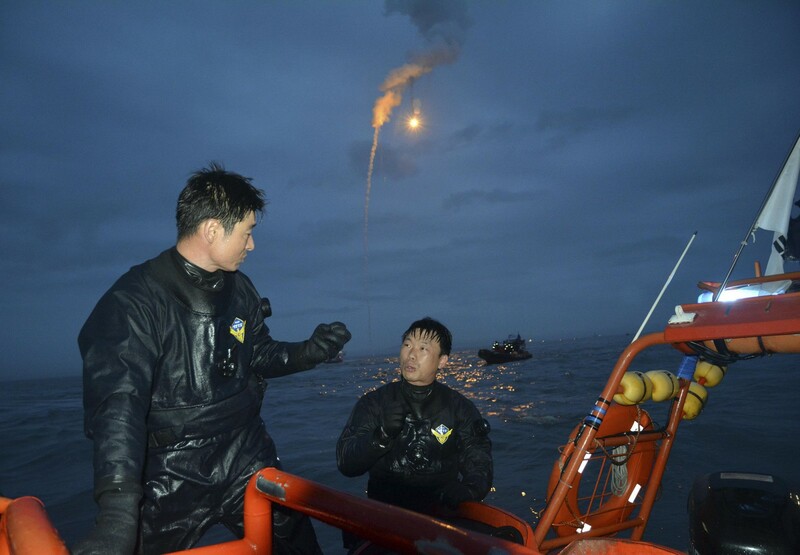 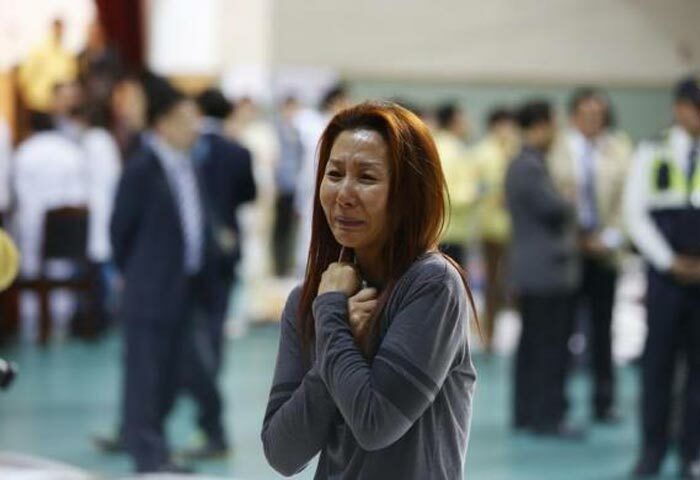 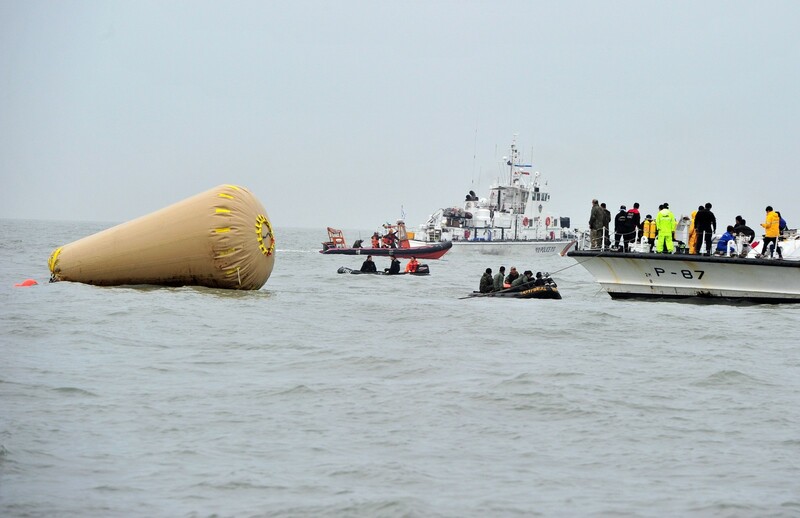 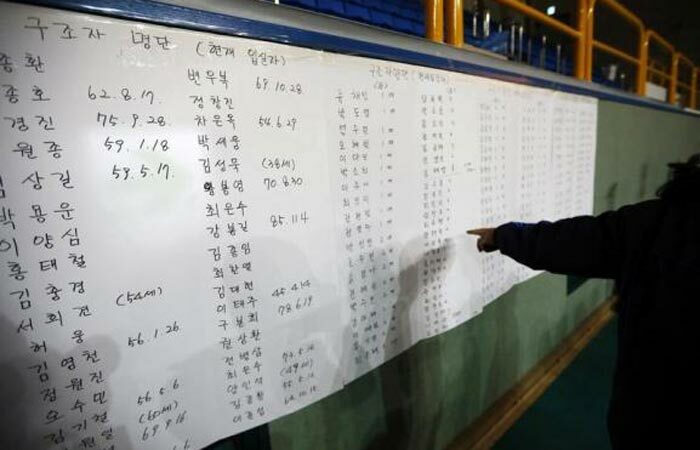 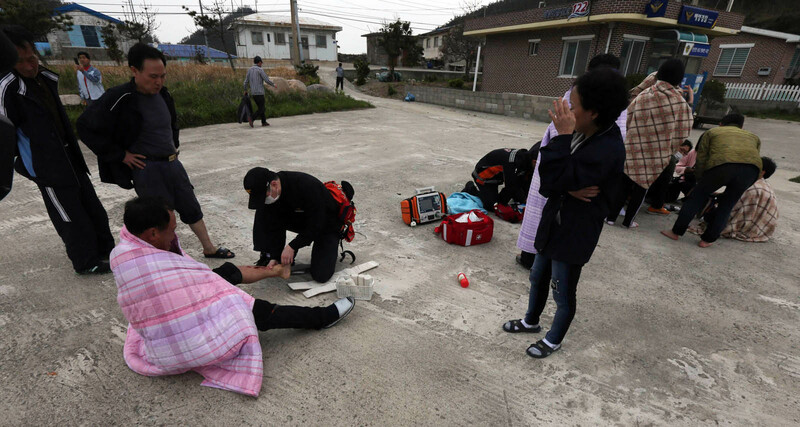 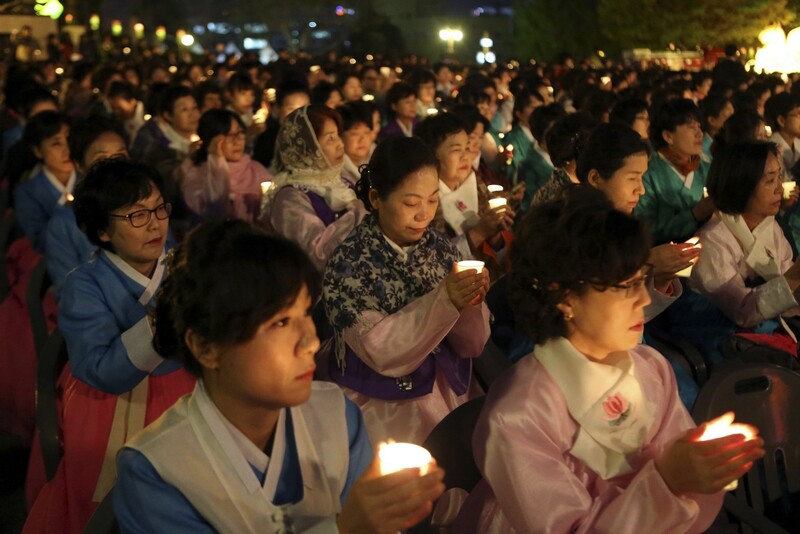 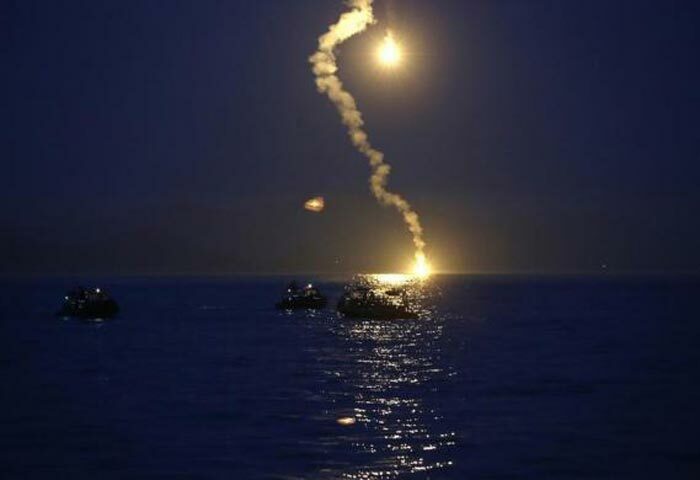 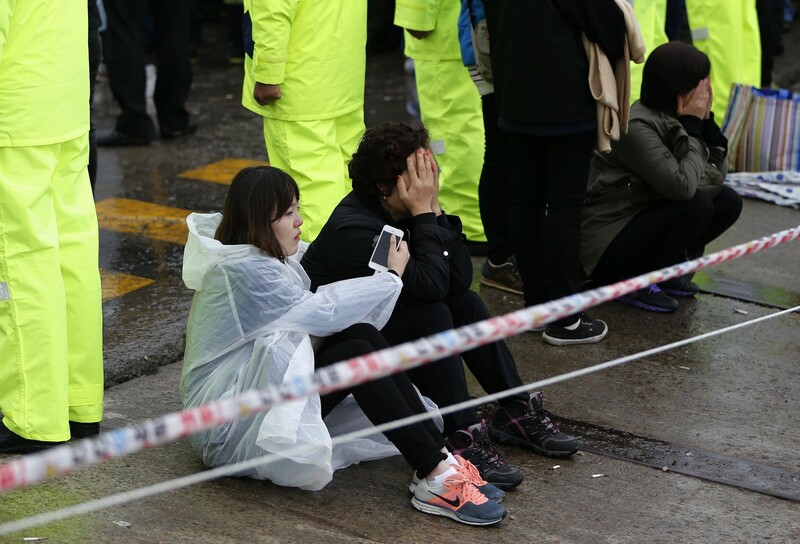 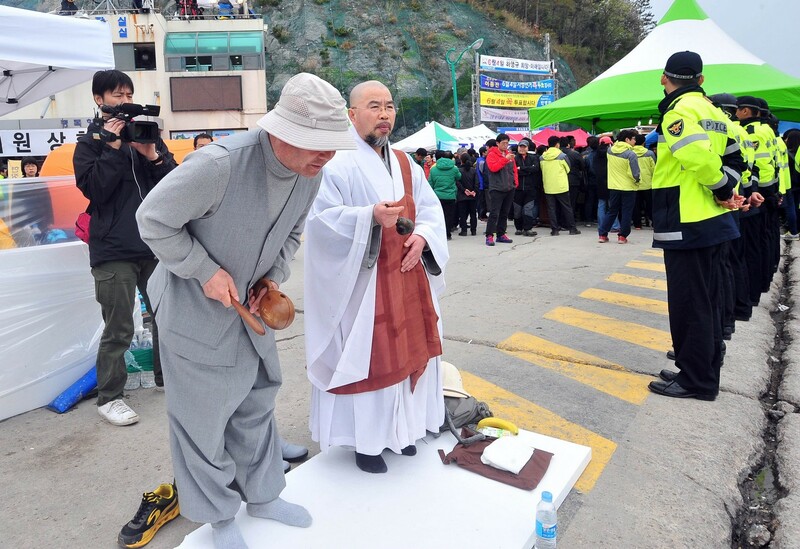 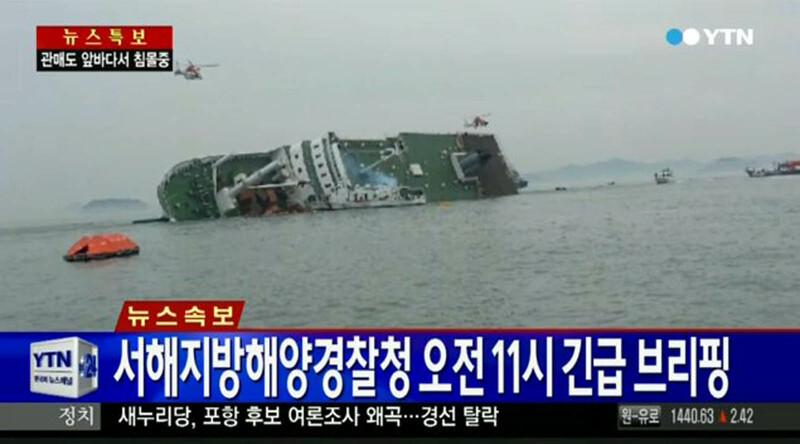 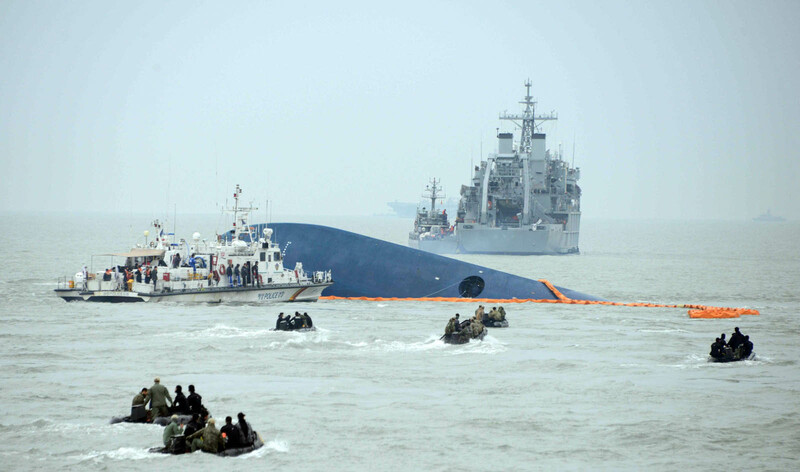 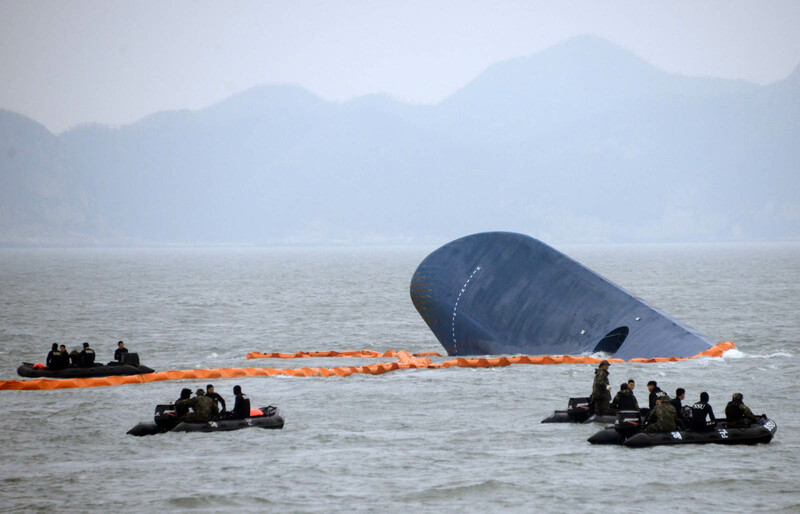 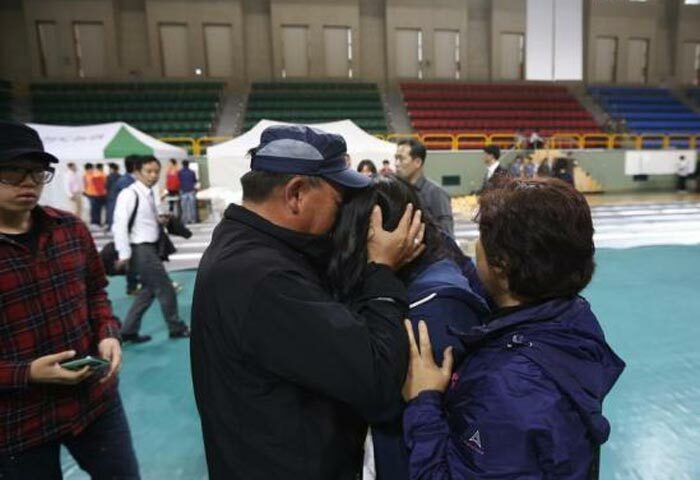 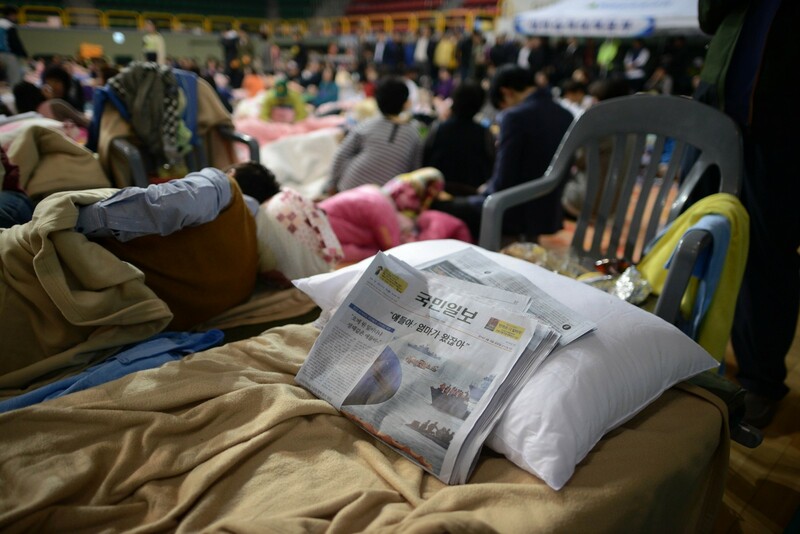 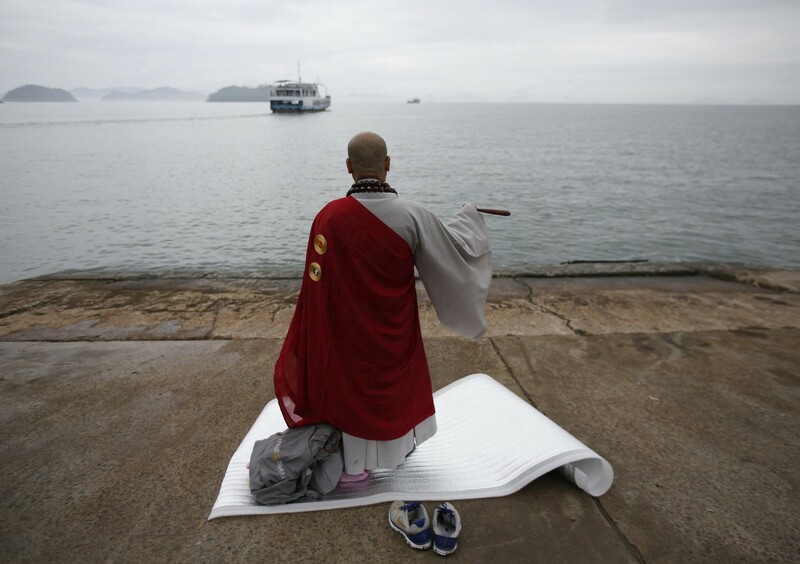 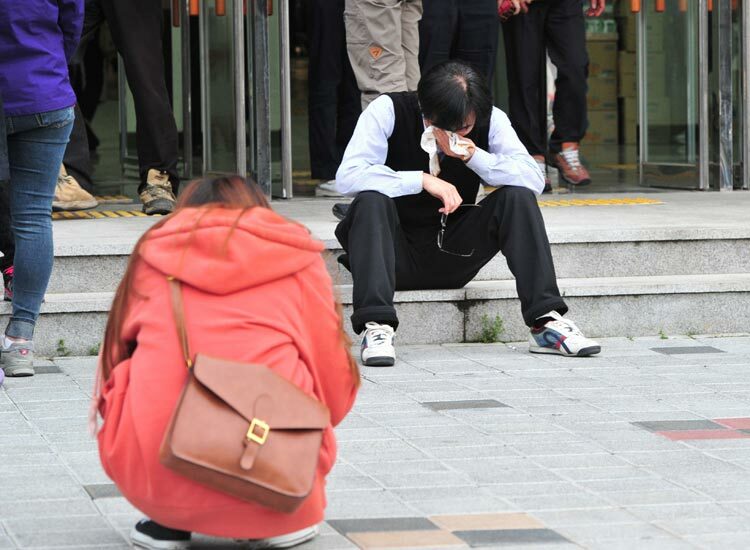 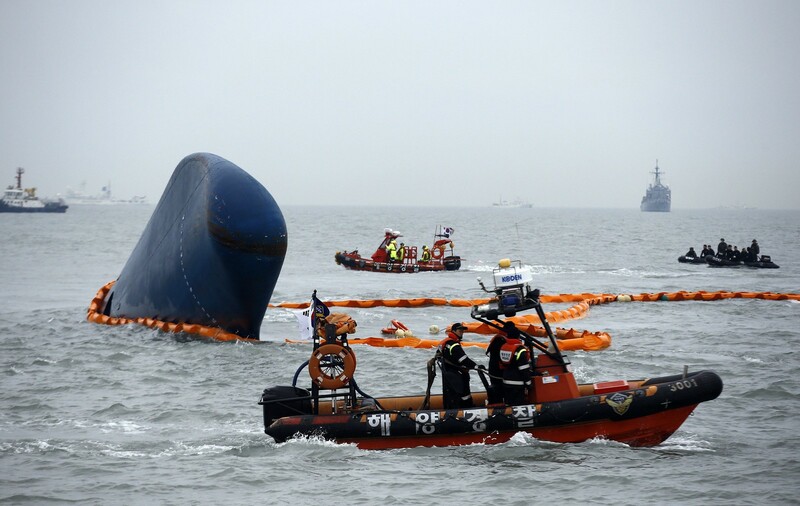 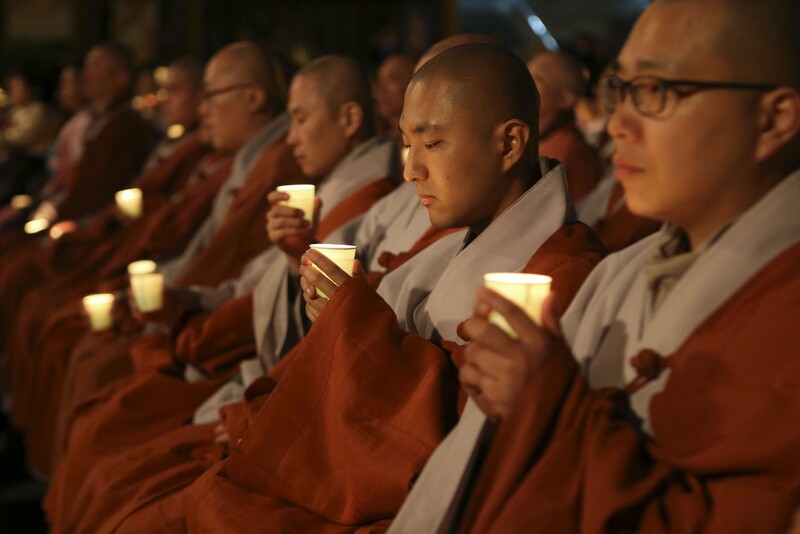 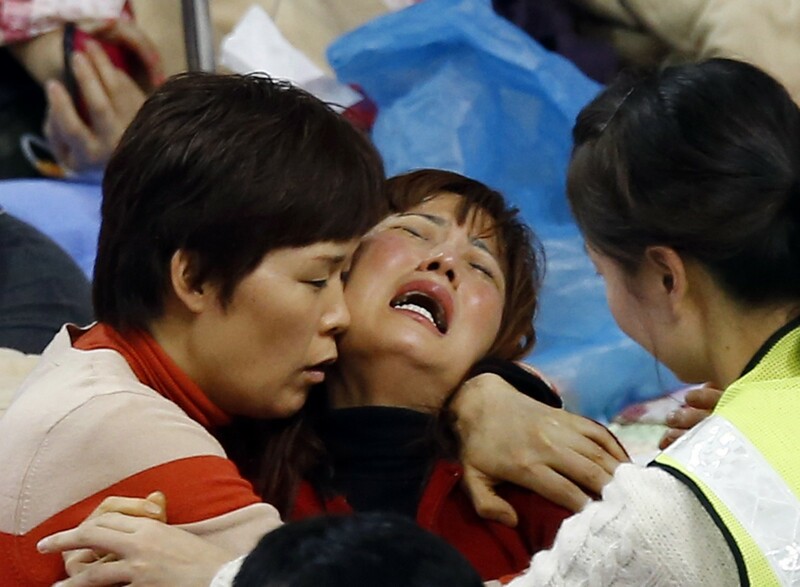 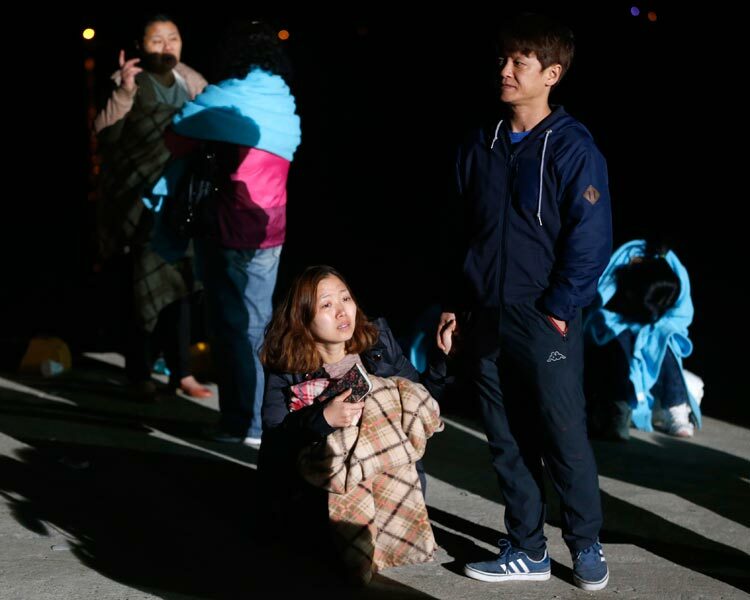 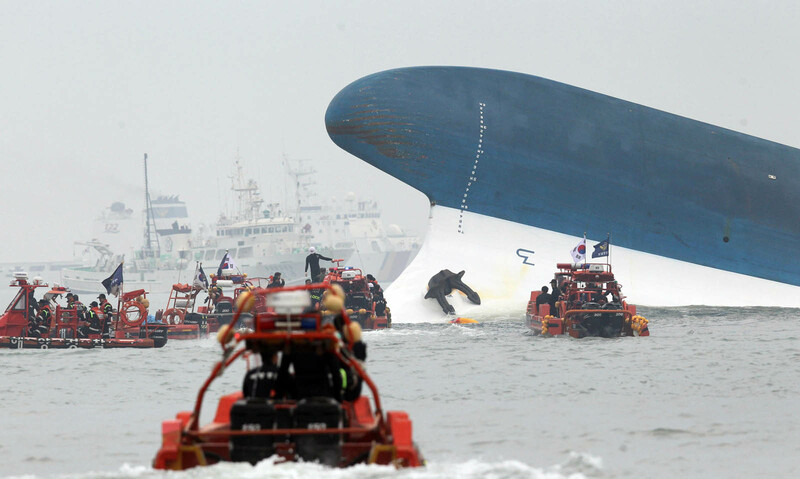 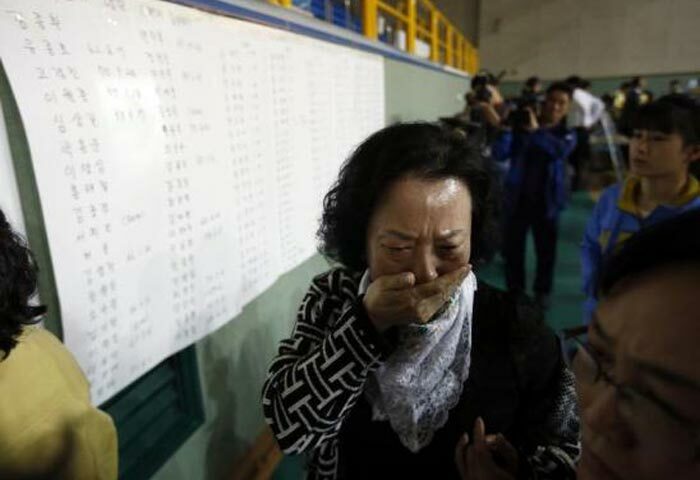 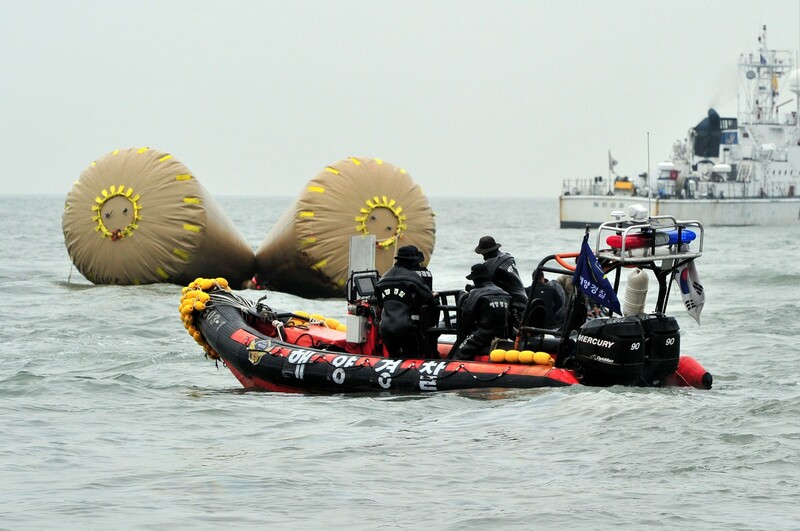 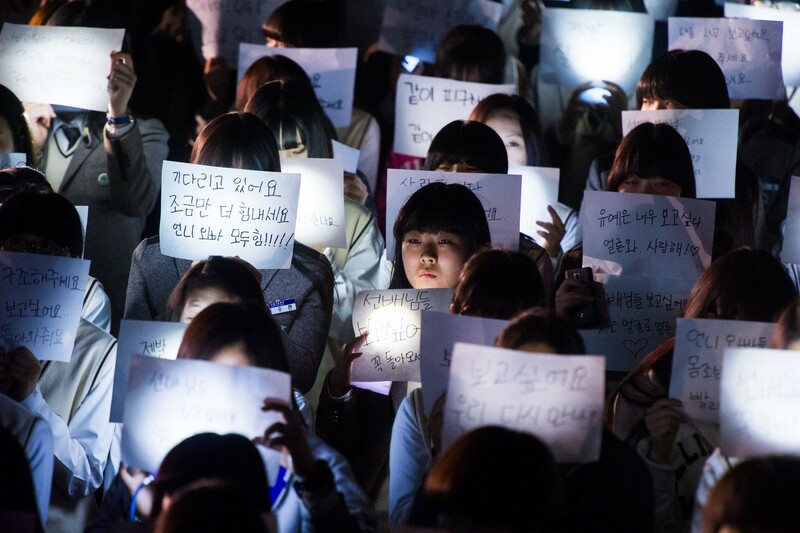 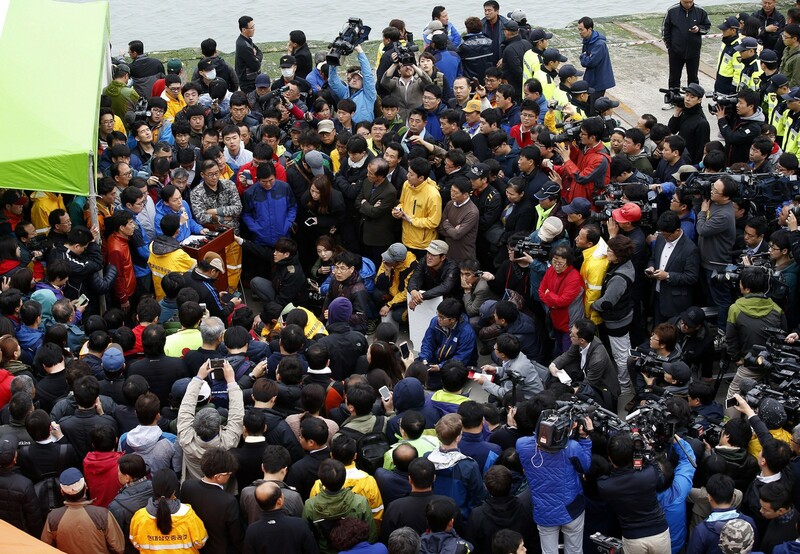 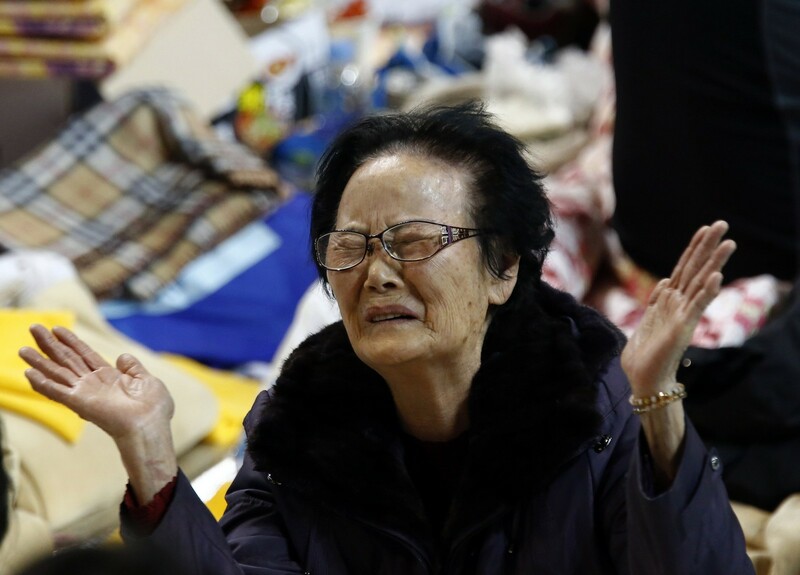 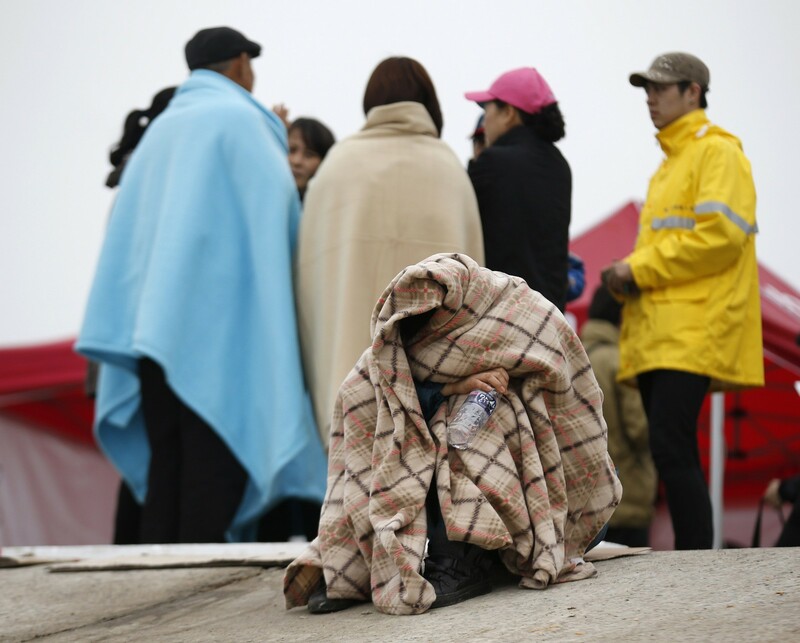 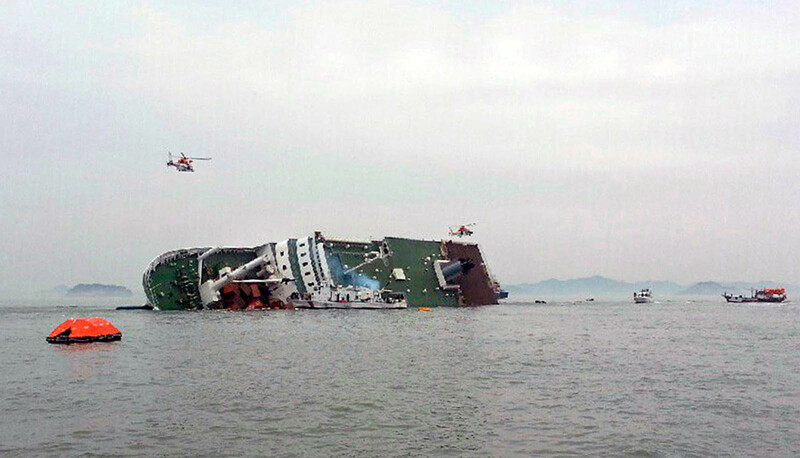 South Korea remains in a state of national mourning, as furious relatives and the public at large cast around for someone to blame for one of the country's worst maritime accidents. All 15 of the surviving crew responsible for sailing the huge ferry are in custody, facing charges including negligence and abandoning passengers. 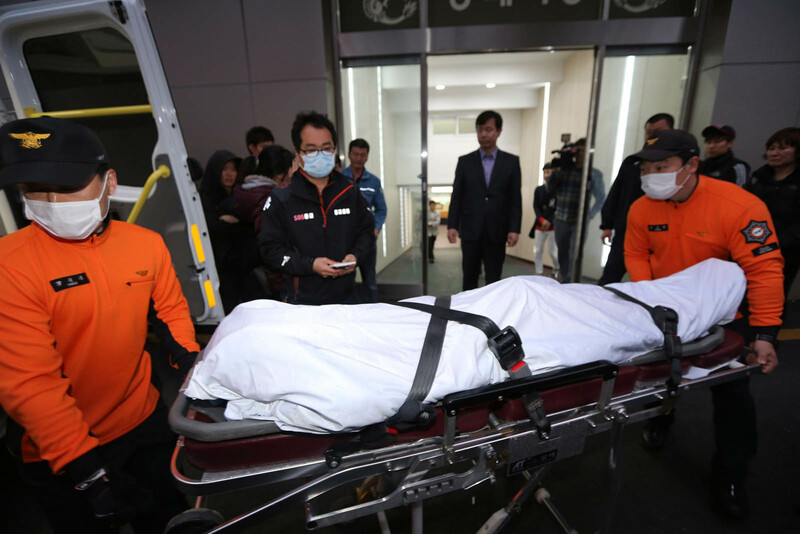 Prime Minister Chung Hong-Won tendered his resignation on Sunday, admitting he had not been up to the task of overseeing the official response. 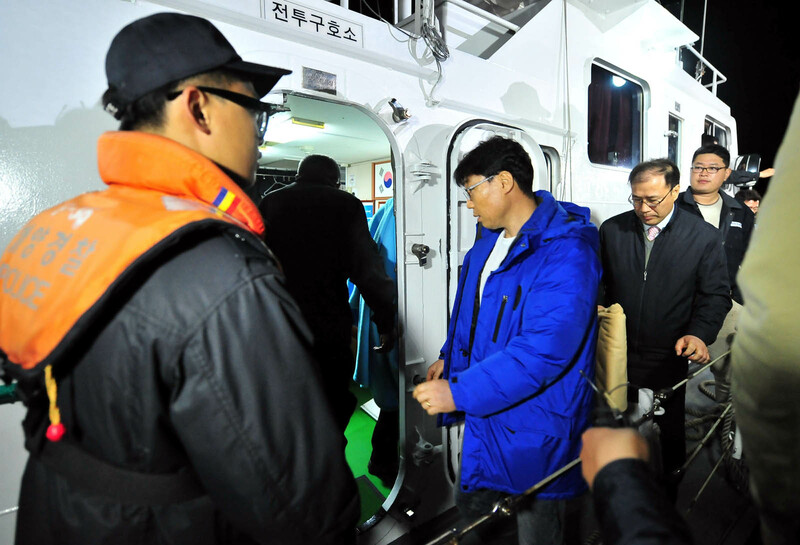 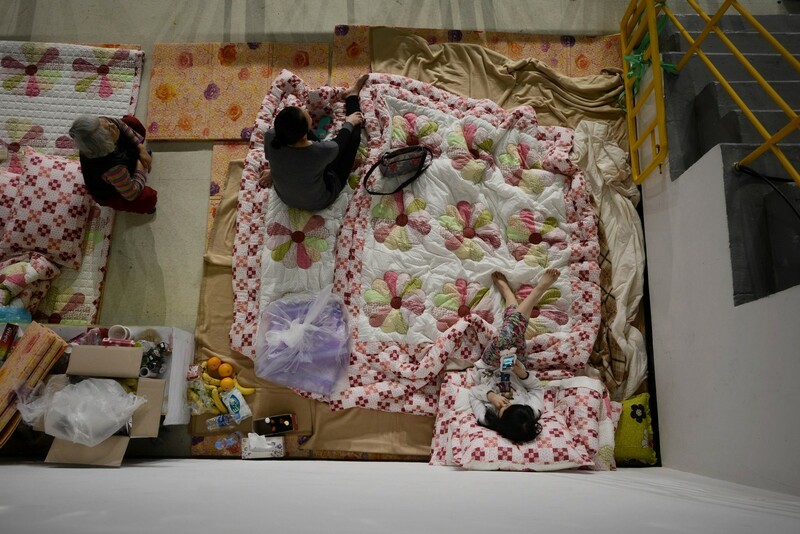 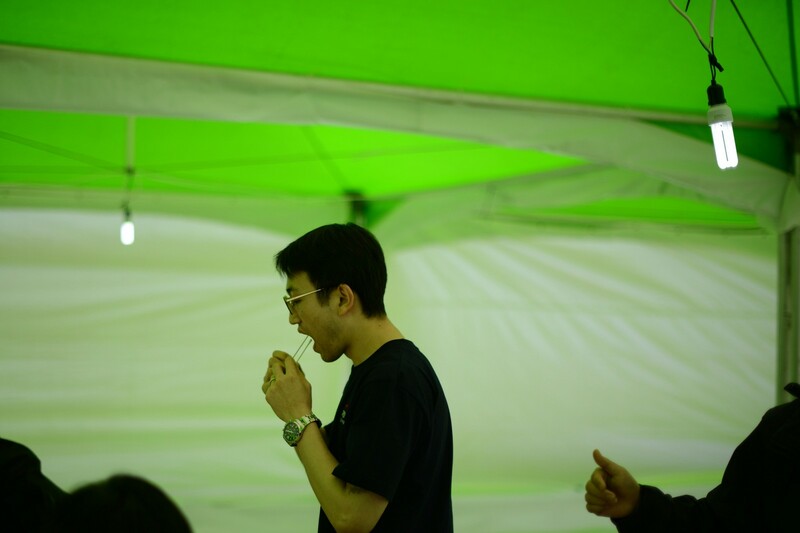 He was told by President Park Geun-Hye to stay in his post until the recovery was finished. 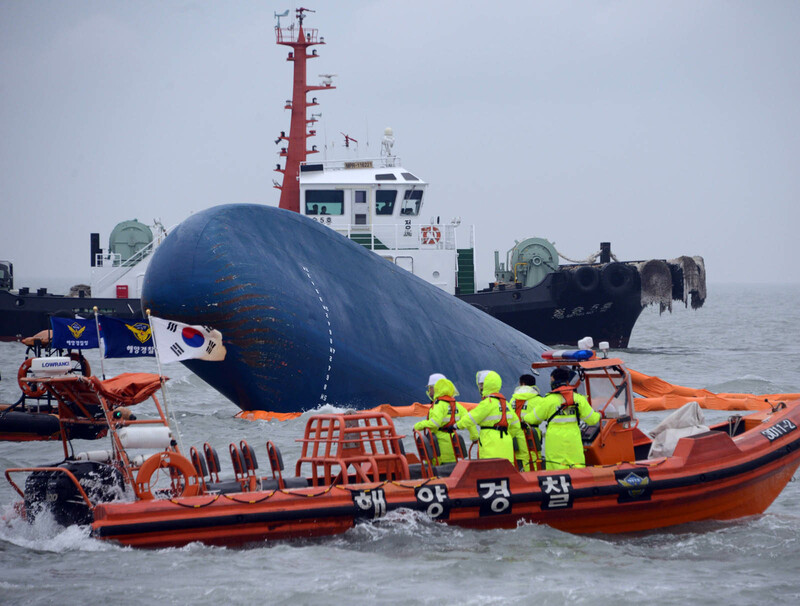 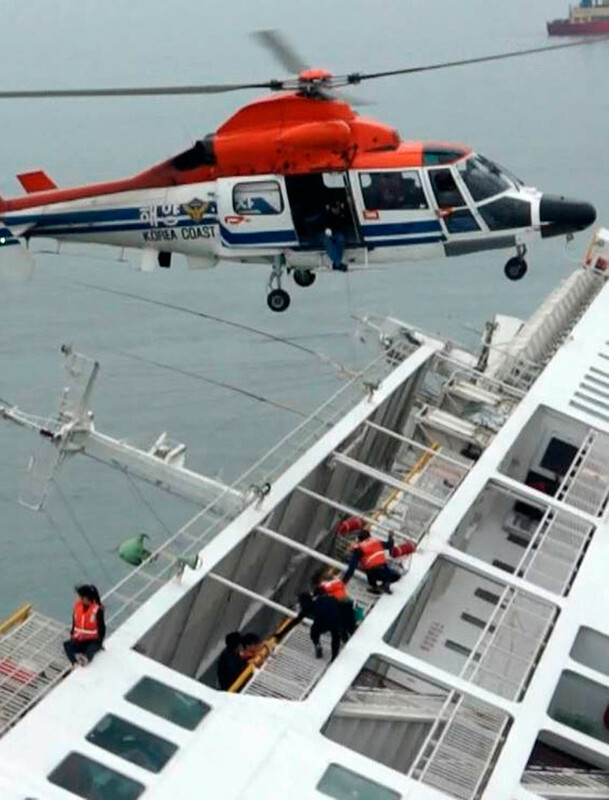 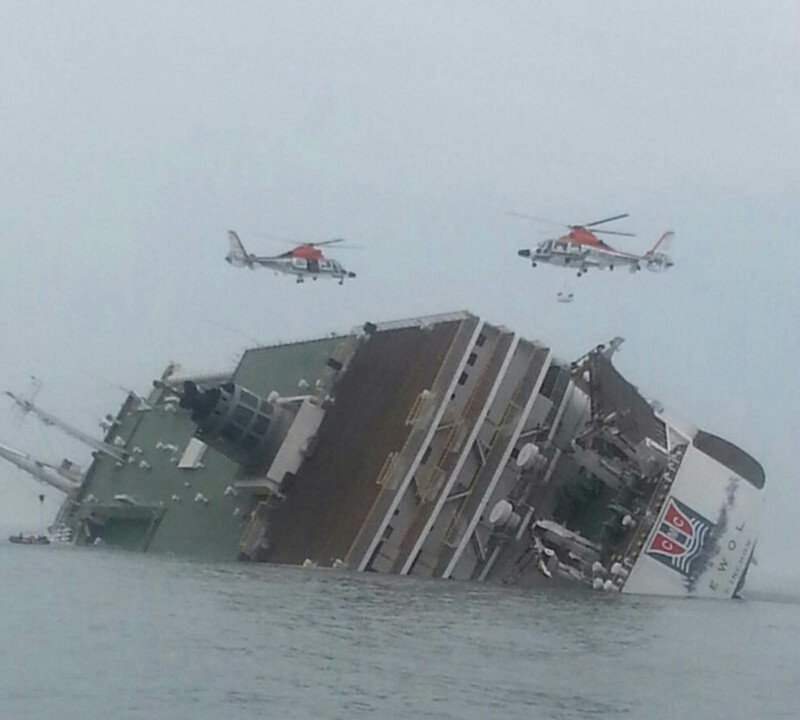 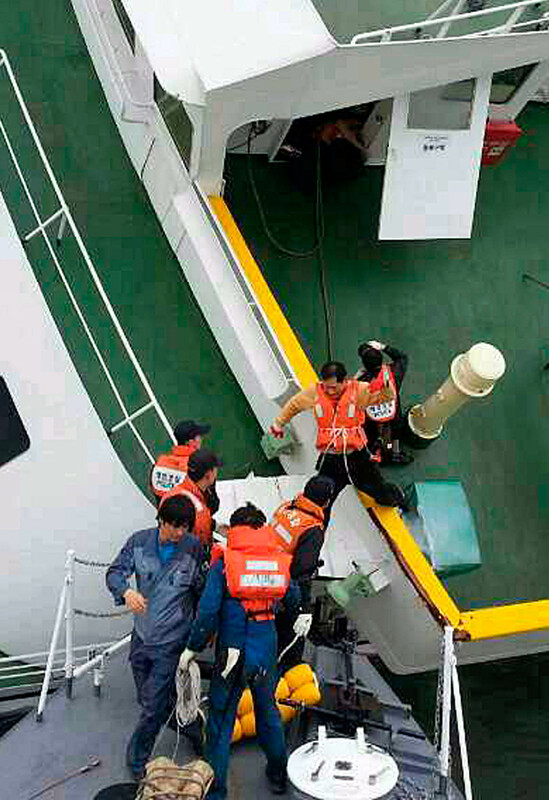 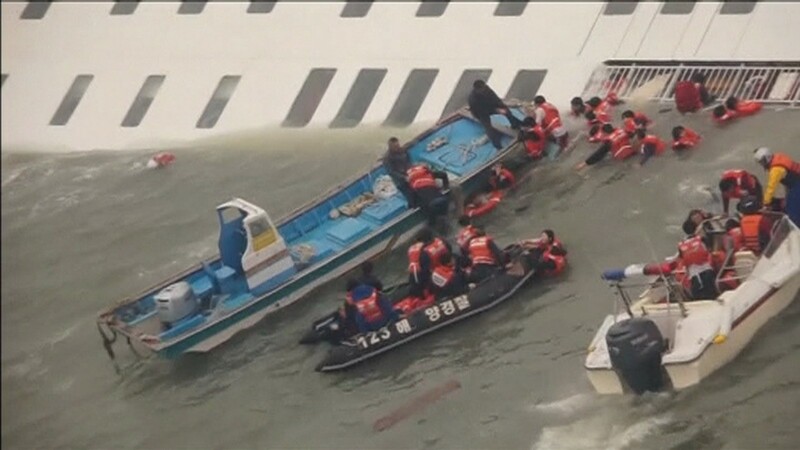 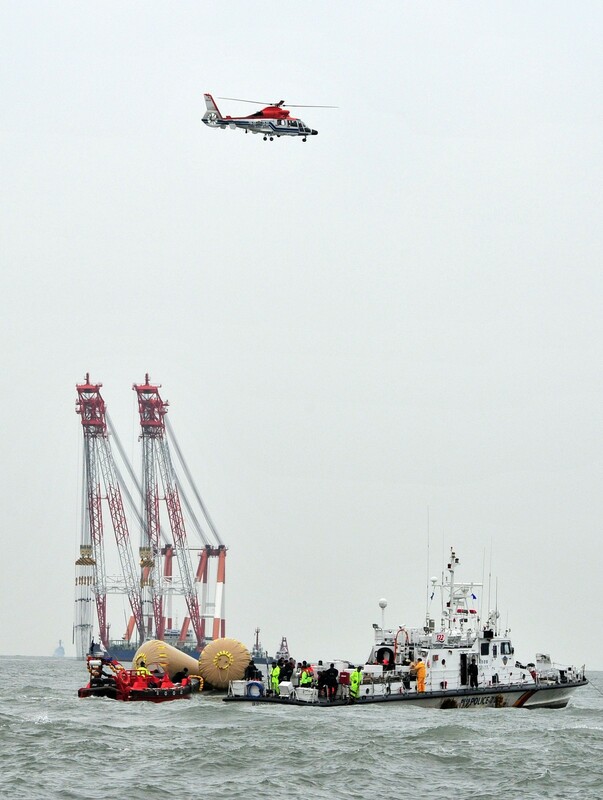 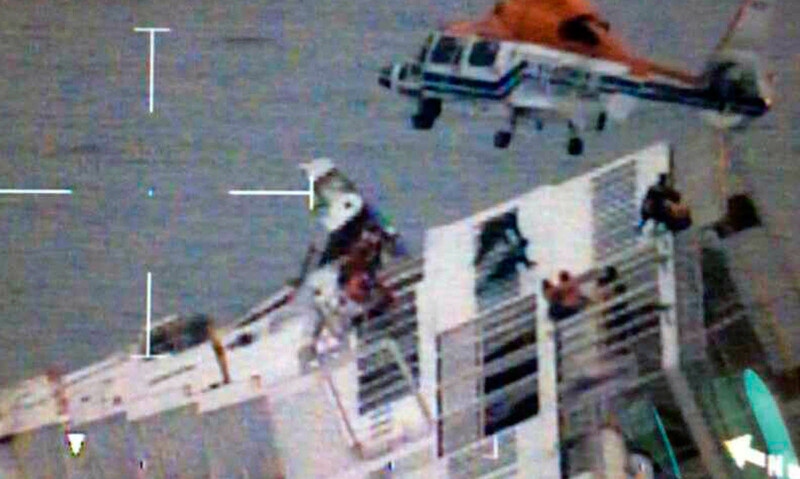 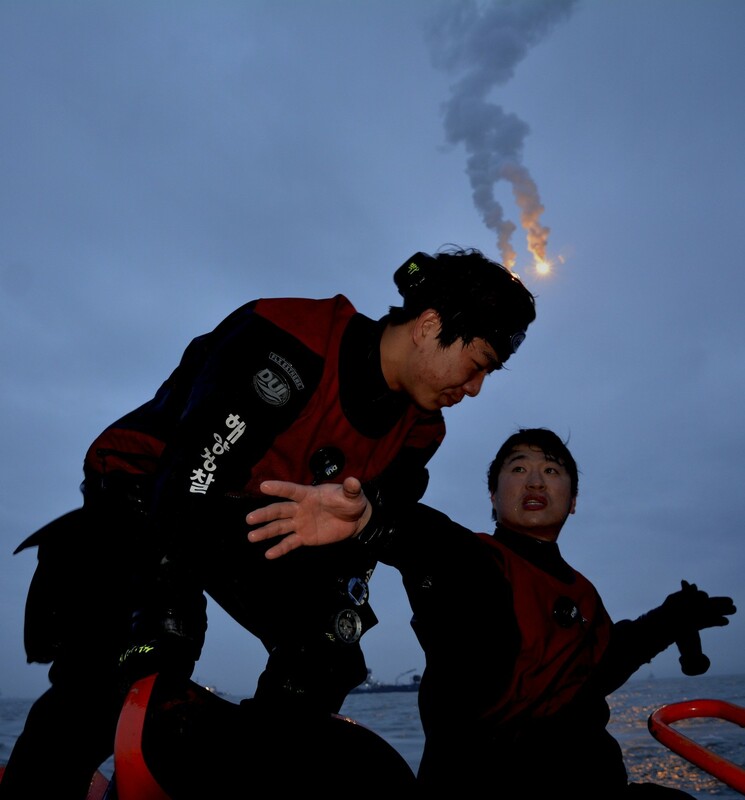 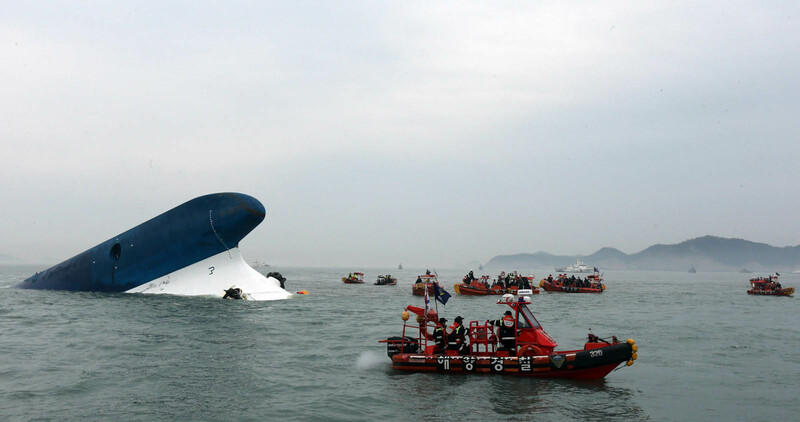 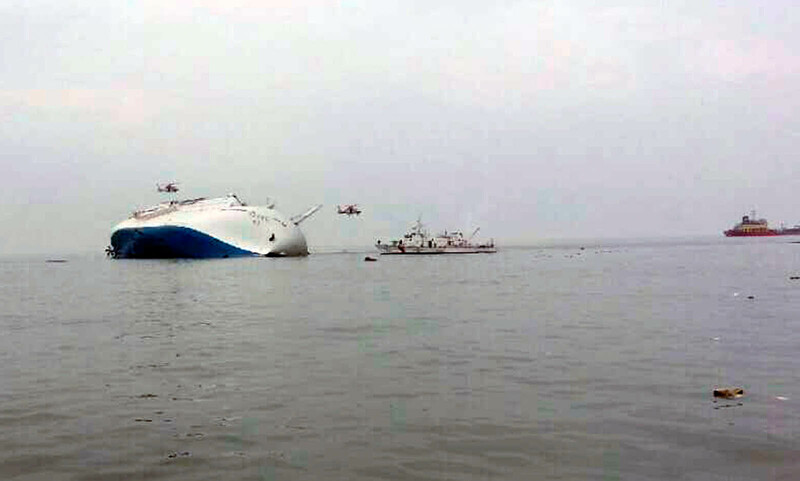 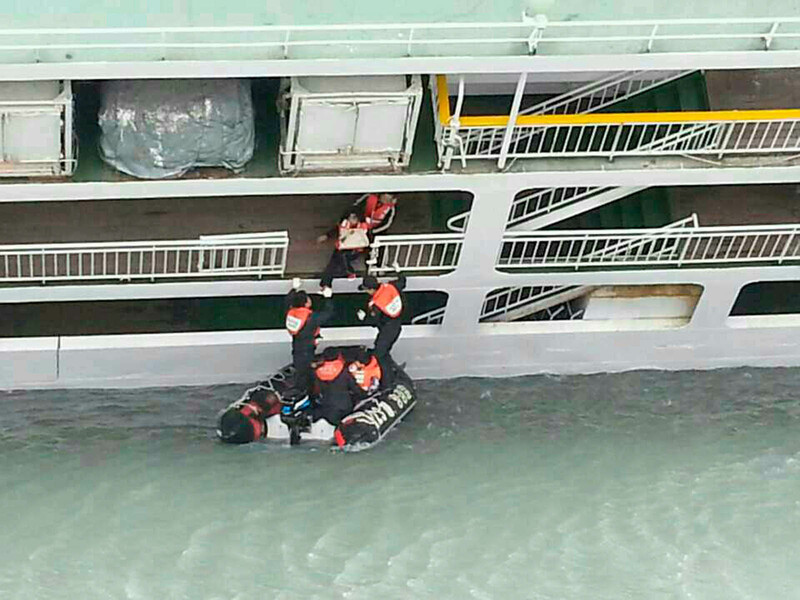 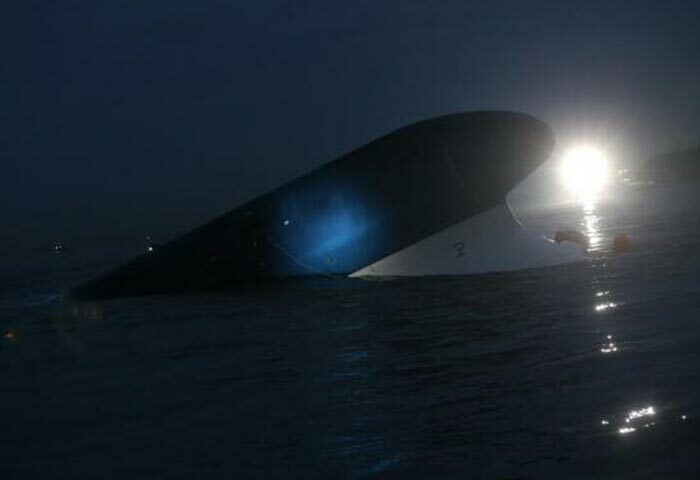 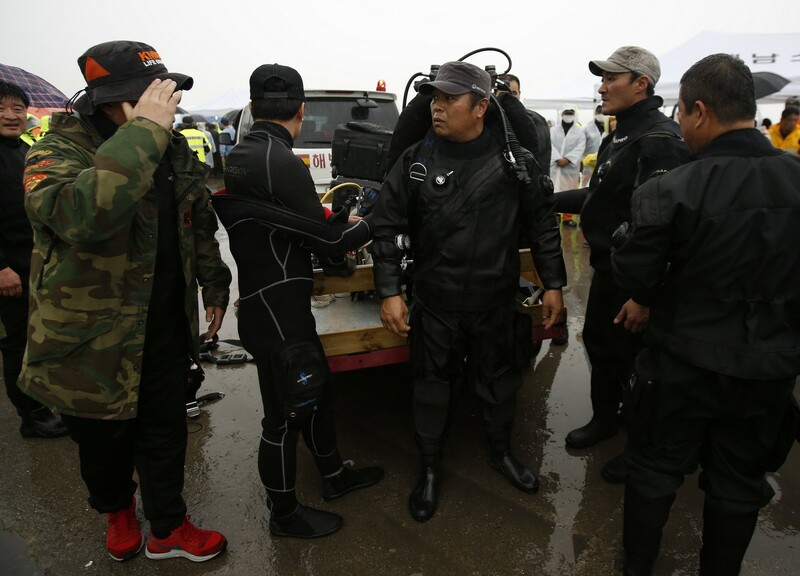 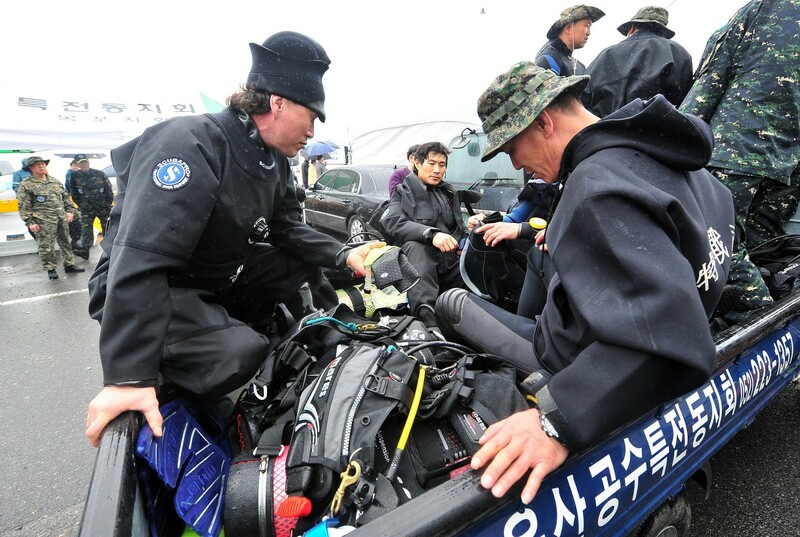 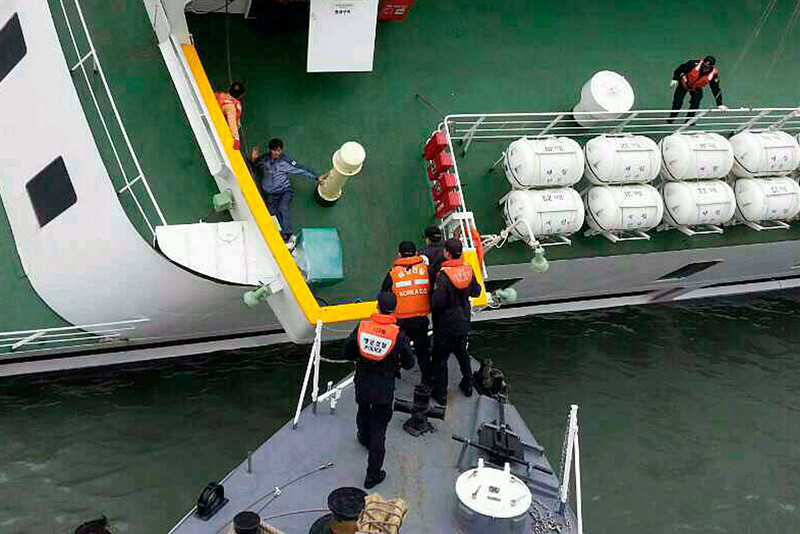 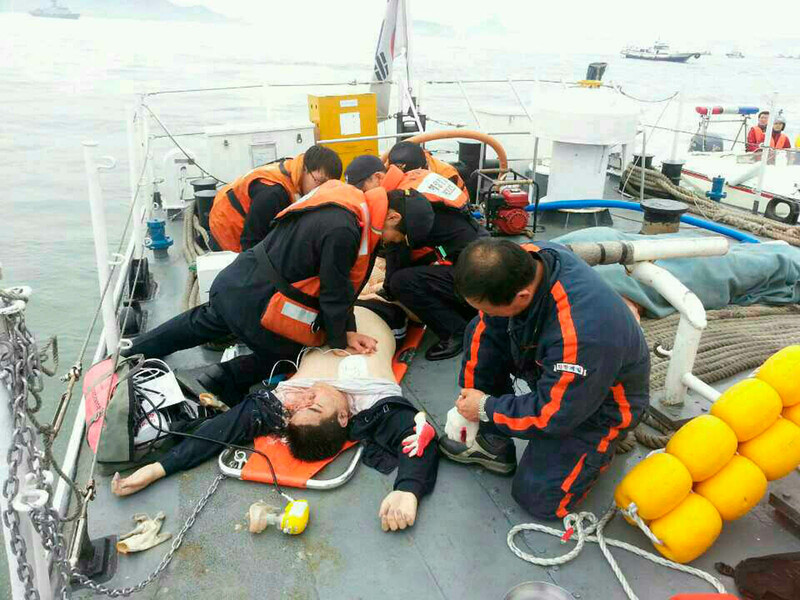 The probe into the sinking has expanded from the ferry operator, Chonghaejin Marine, and its affiliates, to state ship safety inspectors and even sea traffic controllers amid public fury over lax safety oversight and the delayed rescue efforts. 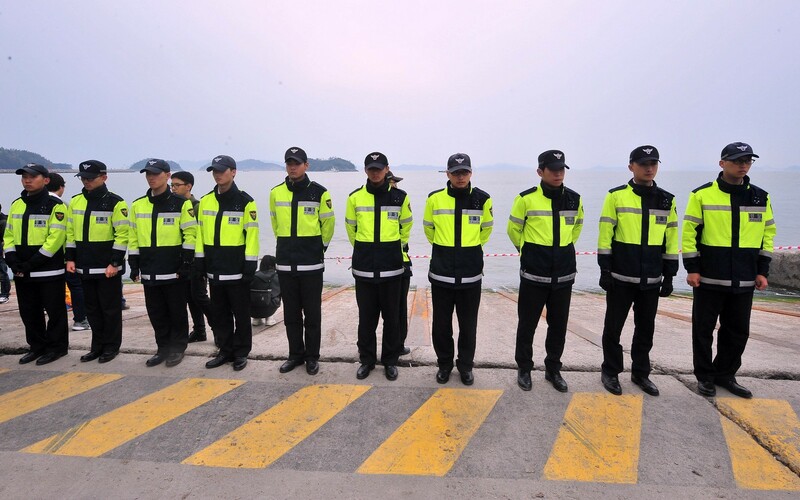 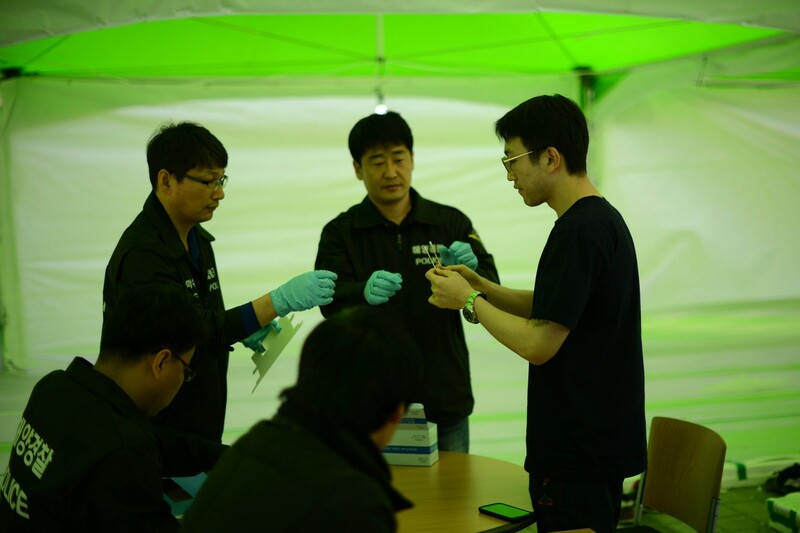 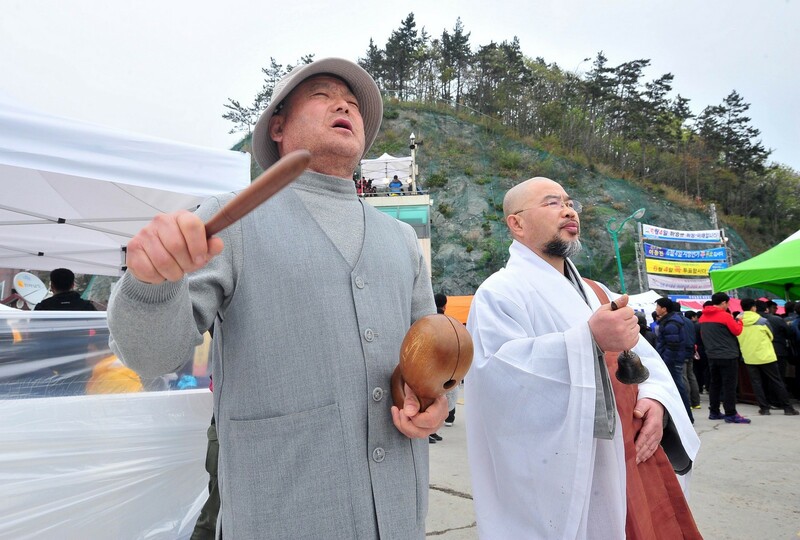 On Monday, prosecutors raided the coastguard office in the southern port of Mokpo on allegations that it had failed to respond quickly enough to a passenger's emergency call. 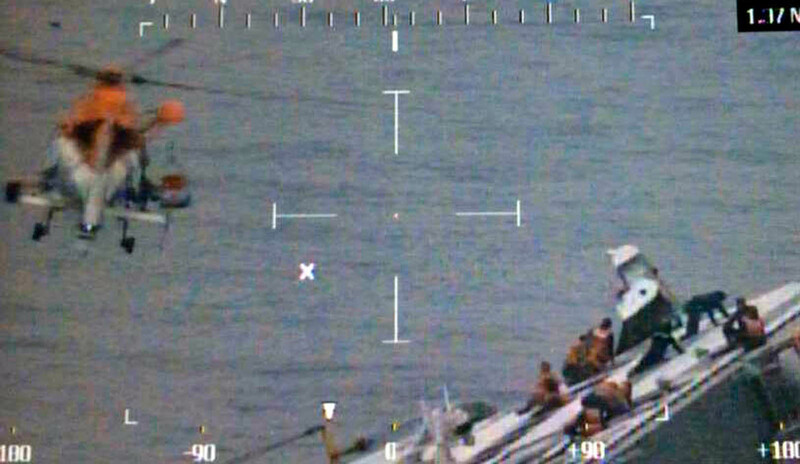 The office received the call - reportedly from a teenage boy - a few minutes before the ship sent its first distress signal to sea traffic controllers. 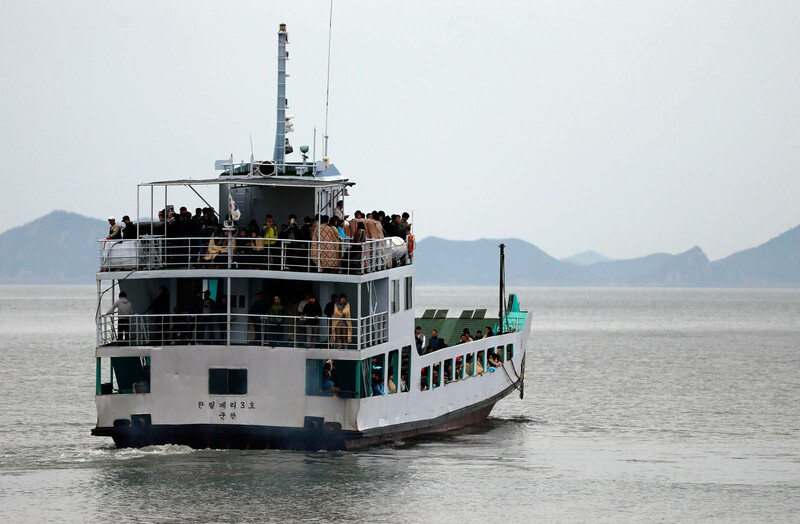 During his call, the boy was bombarded with questions about the ferry's coordinates and the number of people on board. 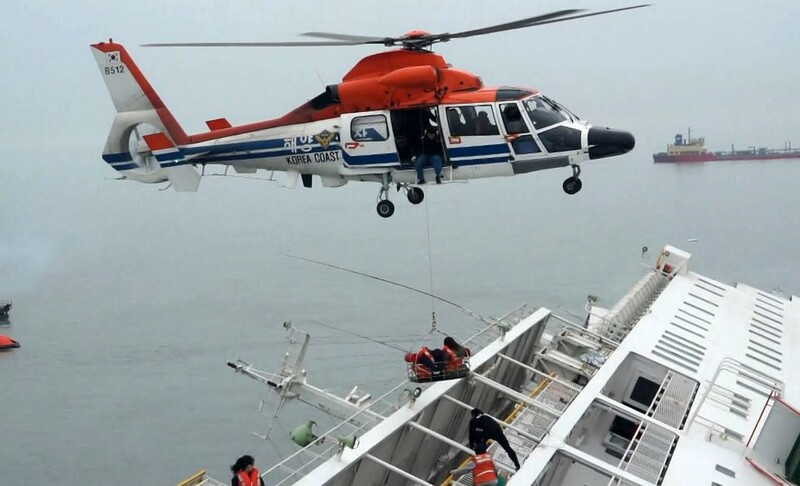 A coastguard official later told reporters that they had mistaken him for a crew member after he was transferred from another emergency call centre. 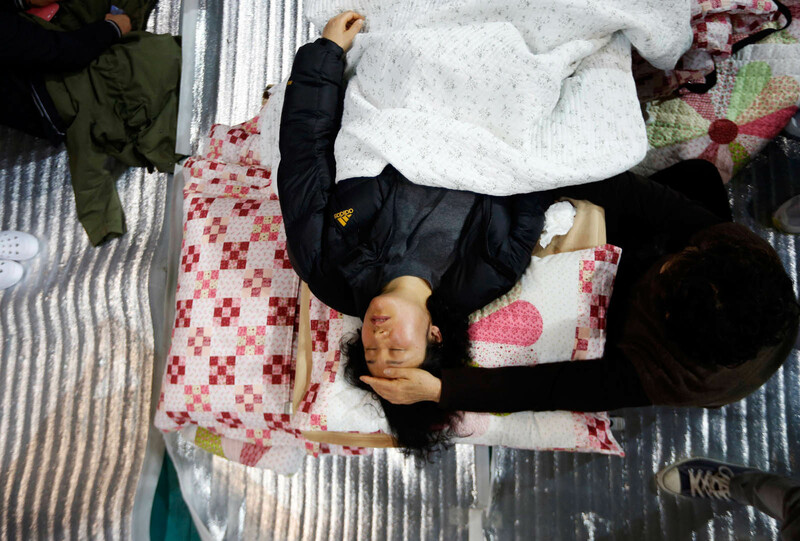 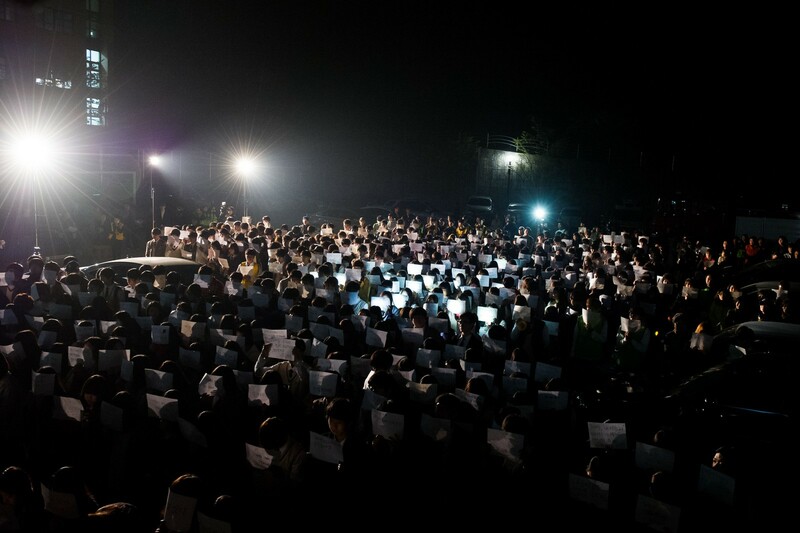 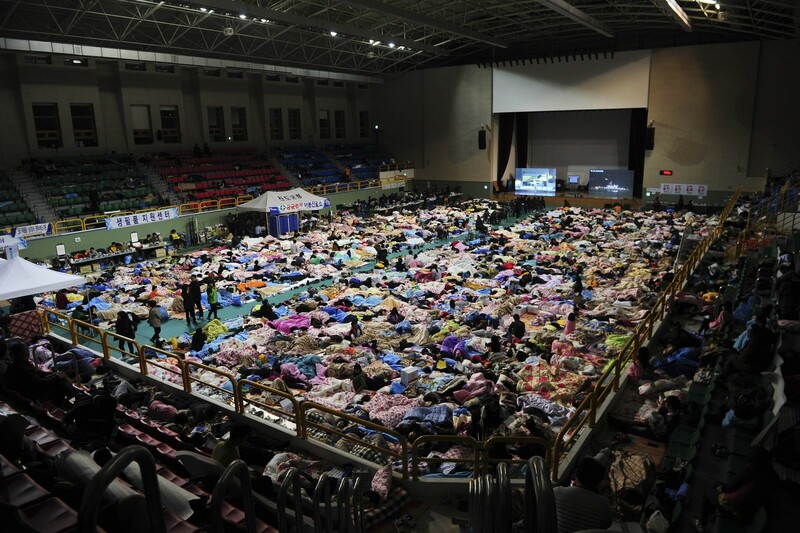 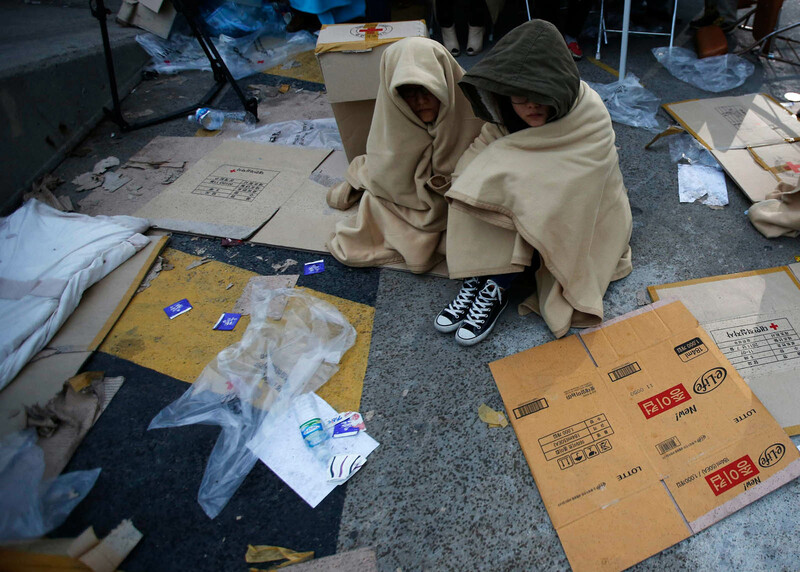 That centre in the southern province of South Jeolla is also being investigated for signs of negligence. 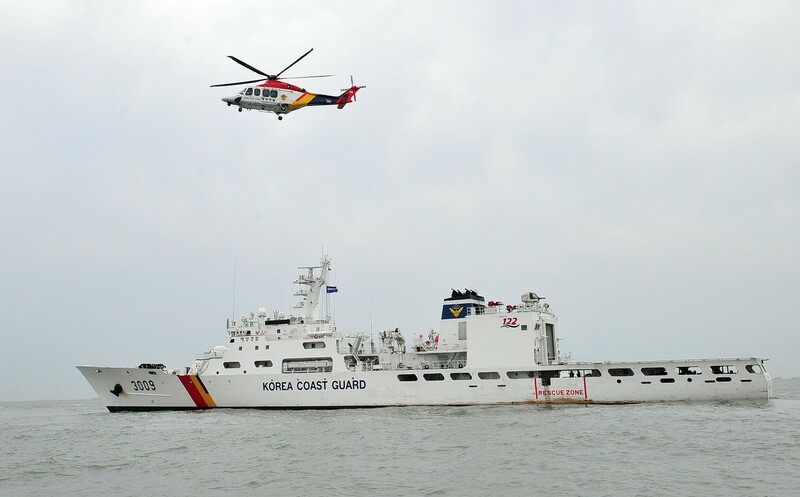 The coastguard is the lead agency in the ongoing rescue and recovery operation. 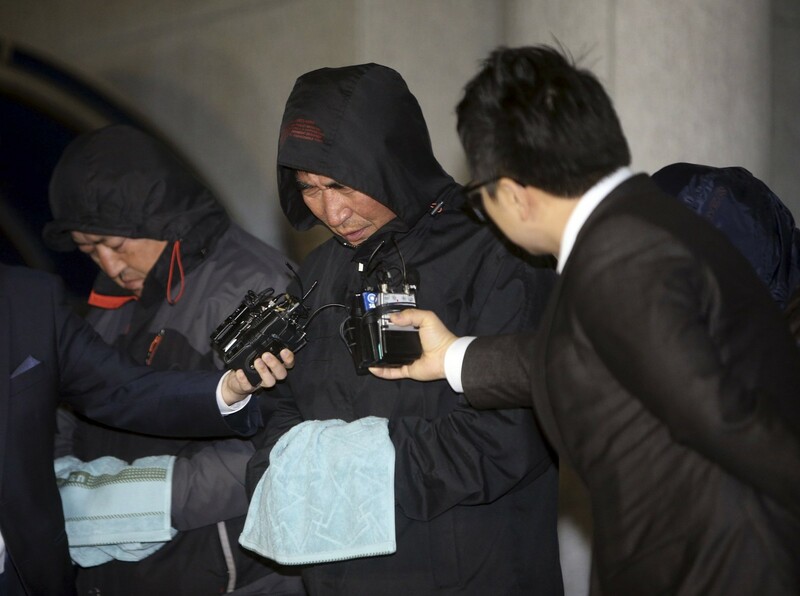 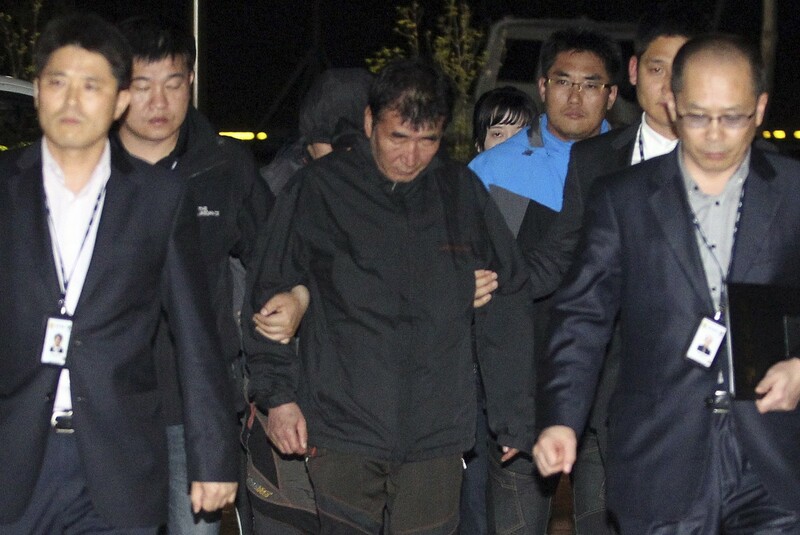 Also on Monday investigators raided the offices of several firms connected to the family that owns Chonghaejin on suspicion of forming illegal slush funds, Yonhap news agency said. 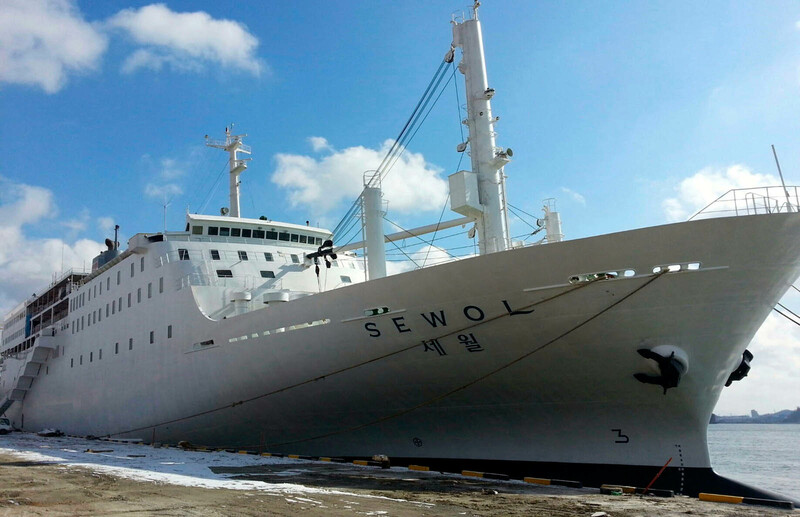 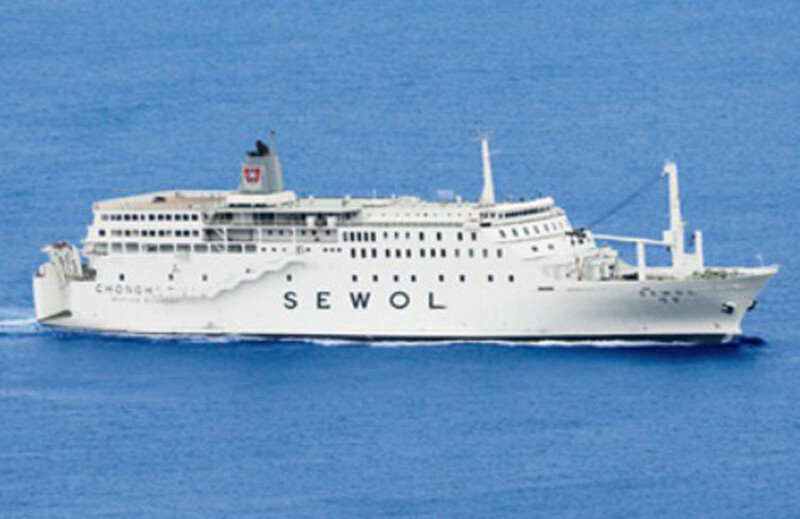 Some 10 key affiliates of Chonghaejin were raided last week over accusations of corruption, and travel bans are in place for eight current and former executives of the Korea Register of Shipping - the body responsible for issuing marine safety certificates. 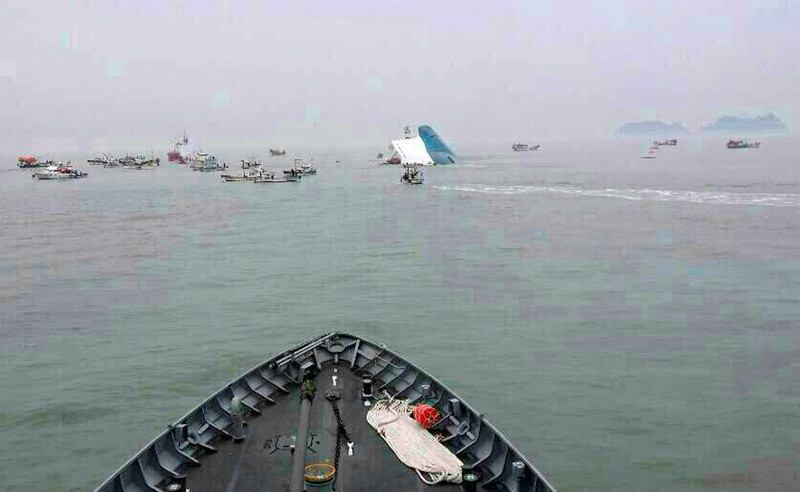 Victims' families have bitterly criticised the official response to the disaster, saying delays in accessing the submerged ship may have robbed any survivors of their last chance to make it out alive. 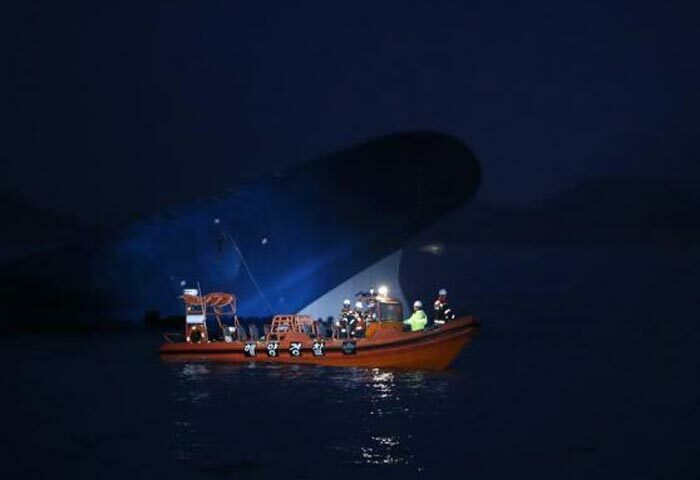 President Park - whose approval ratings plunged in the aftermath of the accident - has vowed to hold all those responsible for the disaster "criminally accountable."